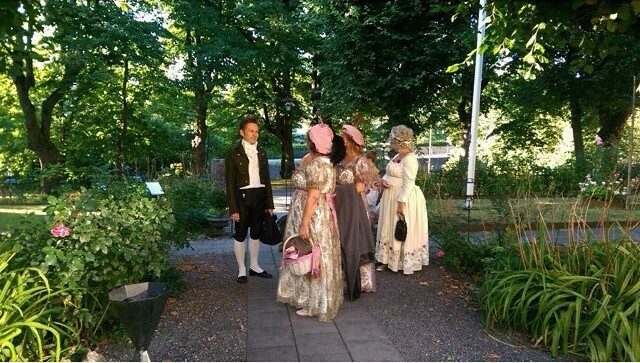 Stockholm has a wealth of well preserved historic sites in and around the city. 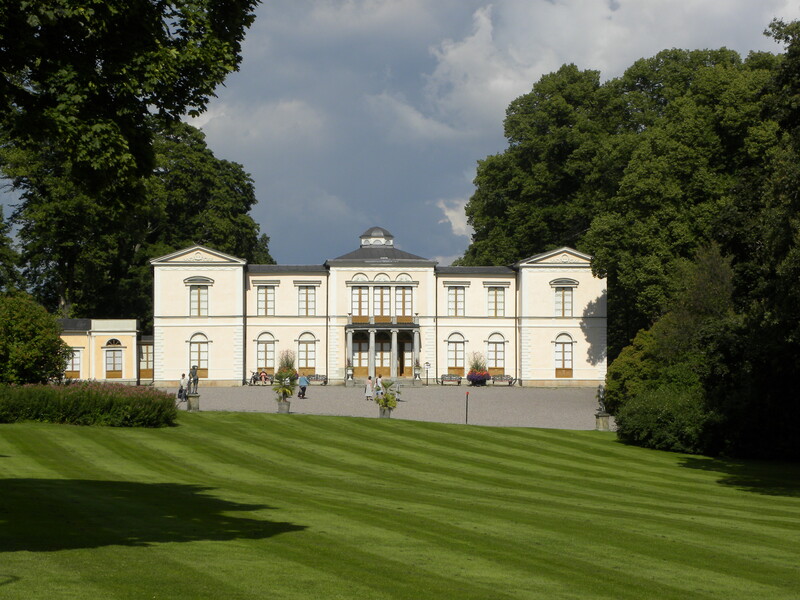 Tucked away in one of the large royal parks is elegant Rosendal Palace. 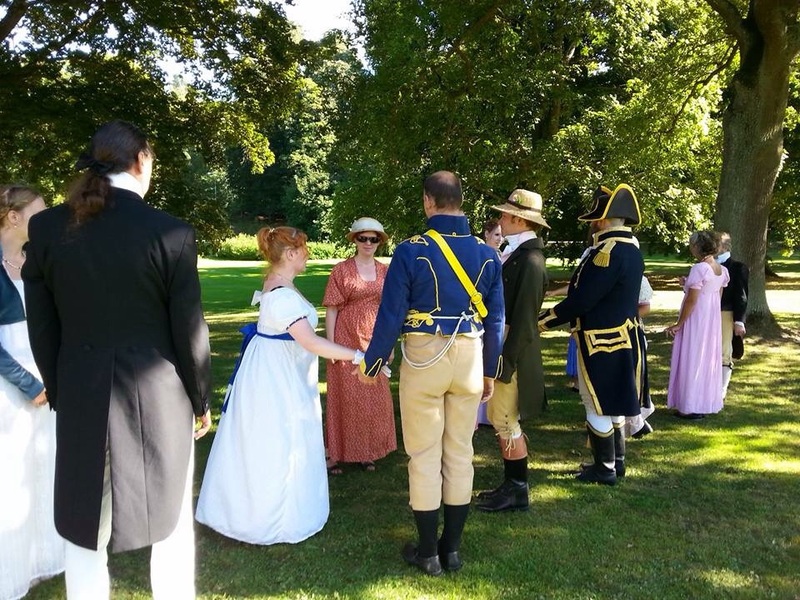 The Regency Days of 2015 continued there on the day after the ball. 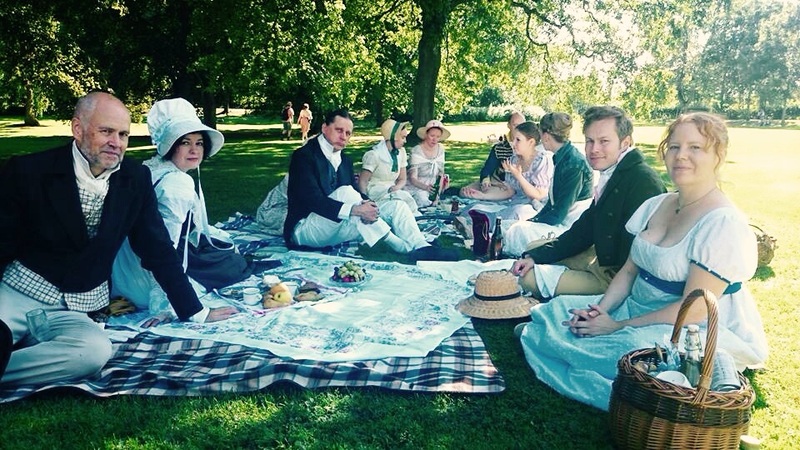 We picnicked on the lawn in front of the palace. Rosendal was built in the 1820´s as a private retreat for the royal family. 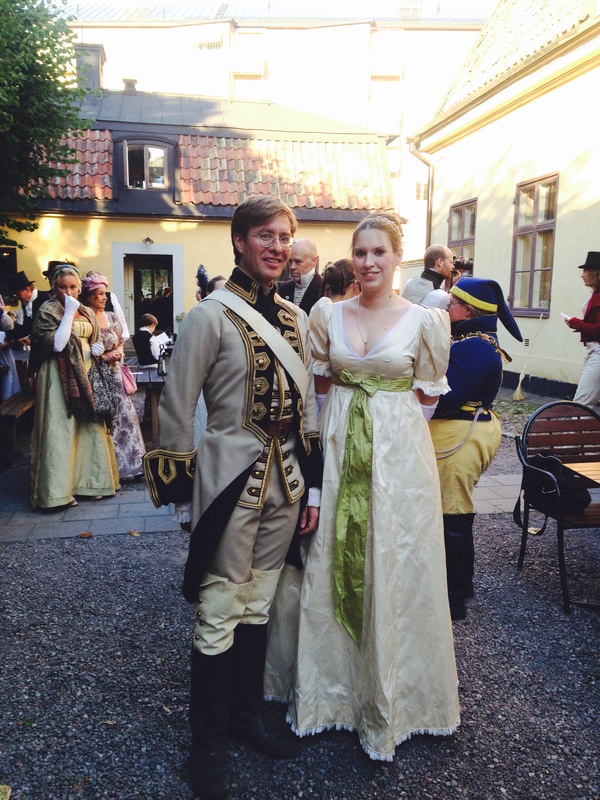 It is in the Swedish/French empire style. It was a warm day so we preferred to sit in the shade. Photo: Anders Fjellström. 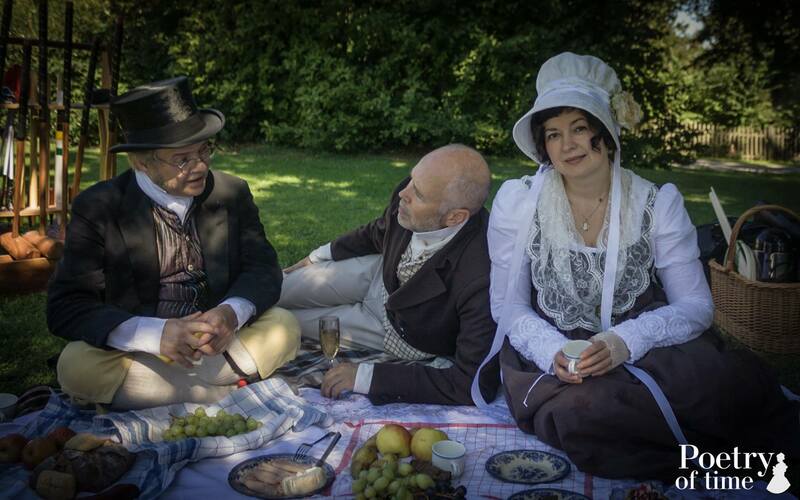 Cucumber sandwiches and elderberry cordial. Photo: Poetry of time. Looks like Hole in the wall to live music. Photo: Poetry of time. In the afternoon we joined one of the guided tours of the palace. 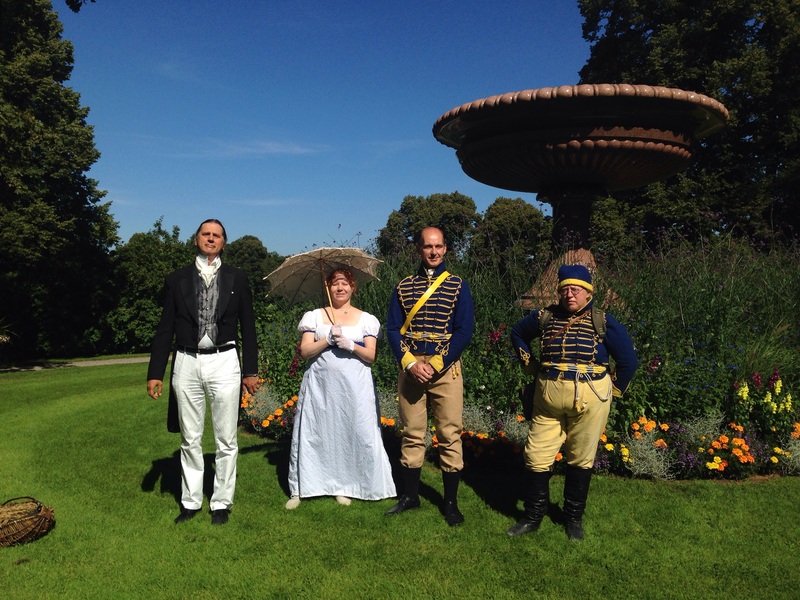 The palace staff was thrilled to meet people dressed in Regency costume. It was actually the first time, as far as they could recall. One of the staff members turned out be a former colleague of mine and a possible new recruit! 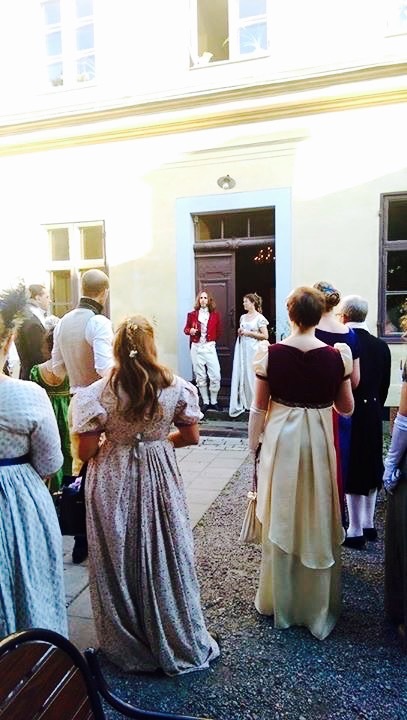 Our guide gave an entertaining yet enlightening tour through the well-preserved and rare (for Swedish conditions) interiors from the 1820´s. 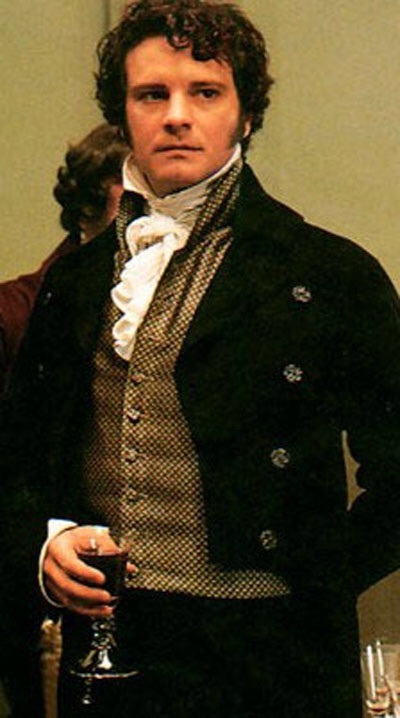 I am always impressed by its builder, the King Karl XIV Johan, a fascinating person who made the most unlikely career. The King was born 1763 in Bearn, France, as Jean-Baptiste Bernadotte. He grew up in a modest middle class home, in a family of tradesmen and artisans, but chose a life in the army. The turmoils following the French Revolution led Bernadotte to the absolute centre of power as one of Napoleon´s generals. 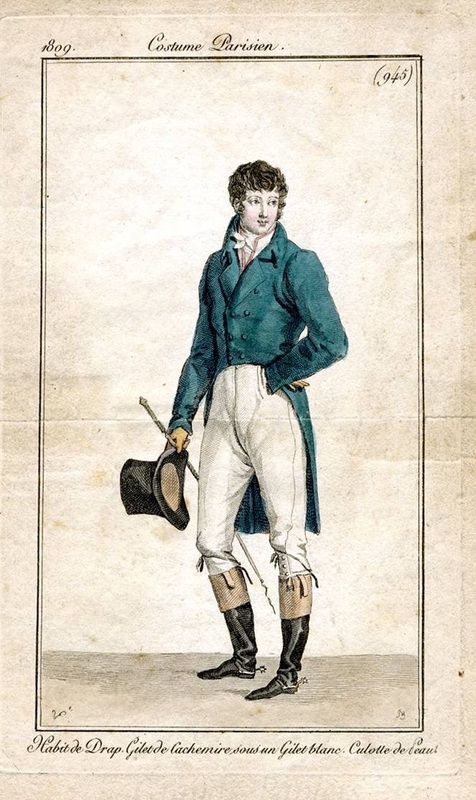 In 1804 he was appointed Marshall of France and later Prince of Ponte Corvo and governor of Rome. 1810, at the height of his career, he was suddenly offered – and he accepted – the Swedish throne. (Political complications had left the country nearly bankrupt, with state affairs in a mess. Half of the nation had been lost to Russia and the king was old and childless.) 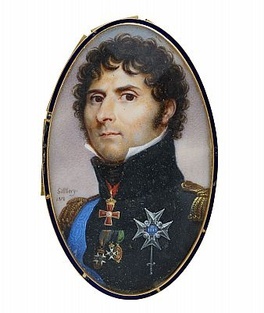 Through his remarkable diplomatic skills, courage, and enormous fortune, Bernadotte, from 1818 King Karl Johan, managed to get the country on its feet. 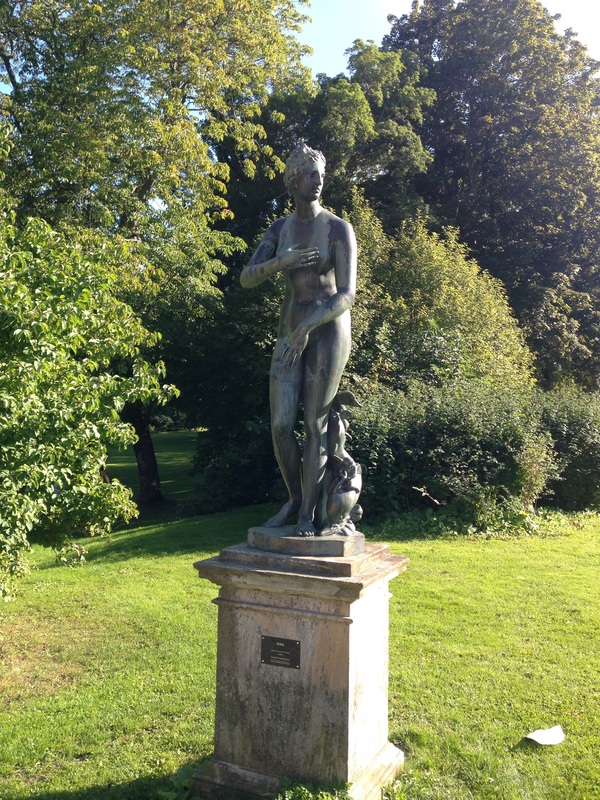 The Rosendal palace is a museum, but it is still owned by the present monarch, a direct descendant of the first Bernadottes. 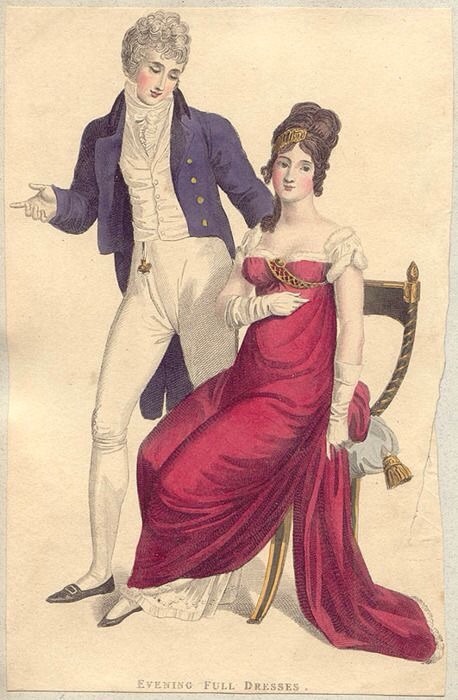 Napoleon is history, but The House of Bernadotte survives to this day. 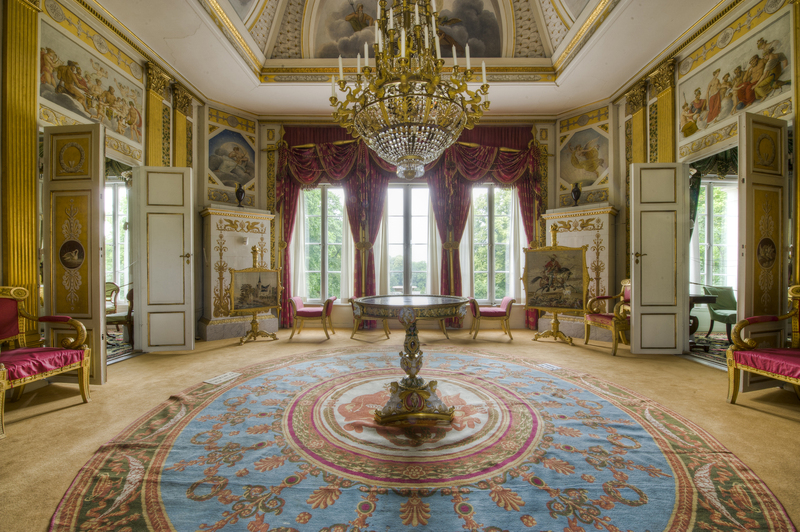 The grandest room is the “Lanternin”. 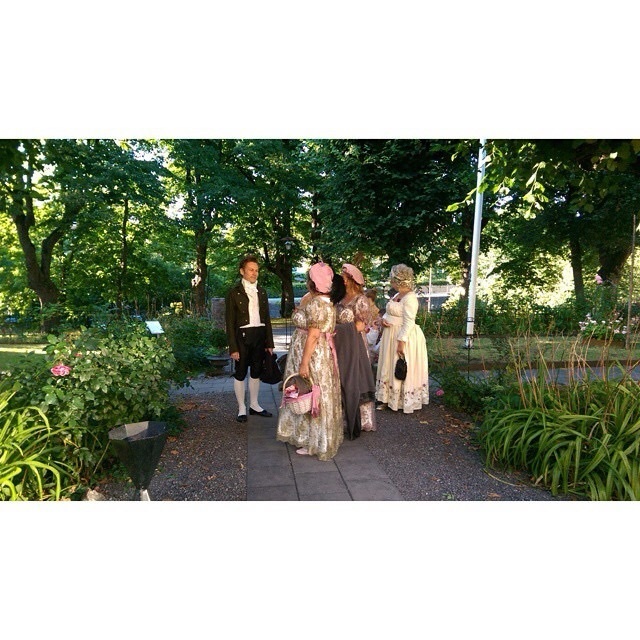 Copyright: Gomer Swahn, Kungahuset.se (Swedish Royalcourt). 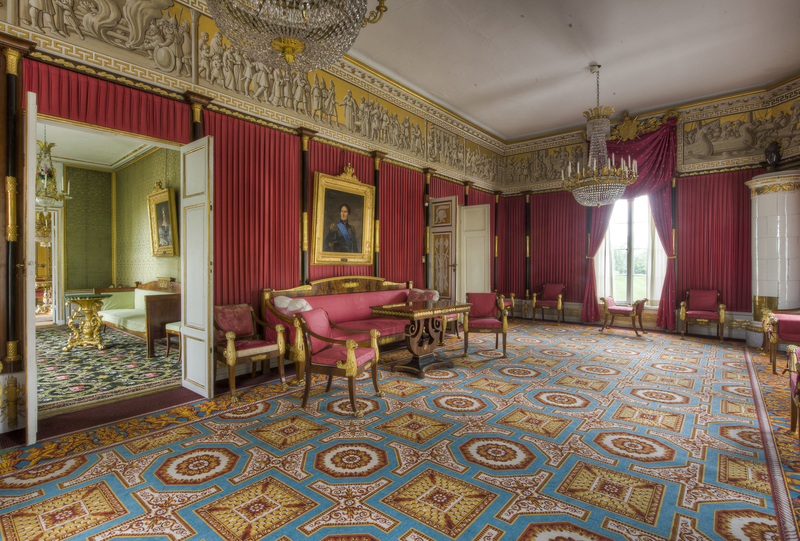 The Red Salon at Rosendal. The walls have the fashionable Roman tent-treatment. 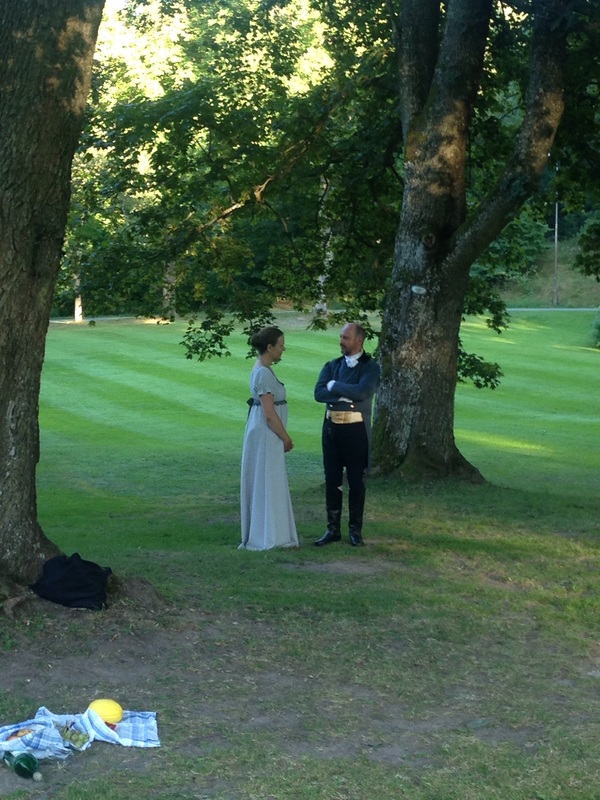 Copyright: Gomer Swahn, Kungahuset.se (Swedish Royalcourt). Karl XIV Johan. 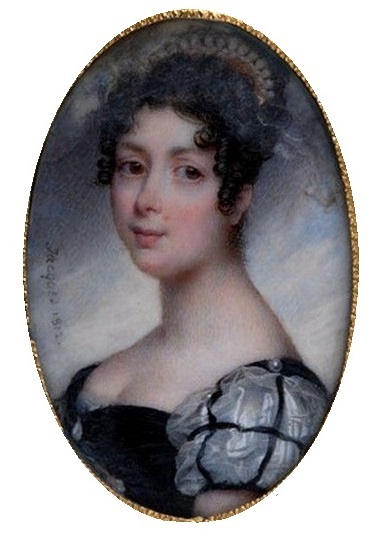 Miniature by J.A. Gillberg 1818. Queen Desirée in Swedish court dress. 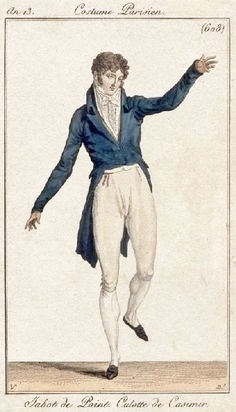 Miniature by N Jacques, 1812. When we stepped out in the sun we danced some more before parting: Mr Isaac´s maggot, Duke of Kent´s waltz, Hole in the wall. We always debate etiquette on these occasions. Is it considered bad form to wear a hat when dancing outdoors? Or should one dance outdoors at all? 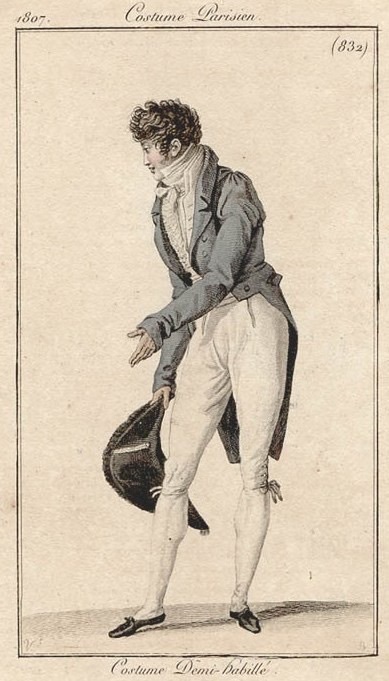 We tend to be very relaxed with Regency etiquette in order to avoid excluding newcomers. 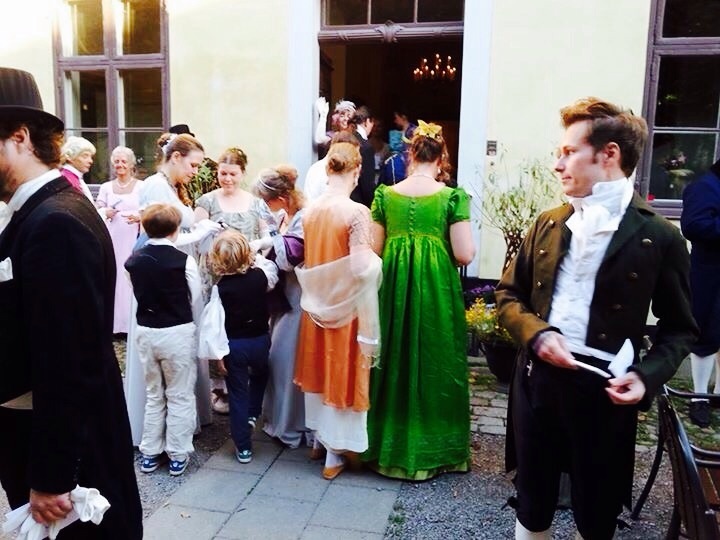 Same goes with costumes – everyone is welcome if one does one´s best. What is your opinion? Mr Isaac´s Maggot. Photo: Malin Gunnerhed. Dignified posing in front of the famous porphyry vase. 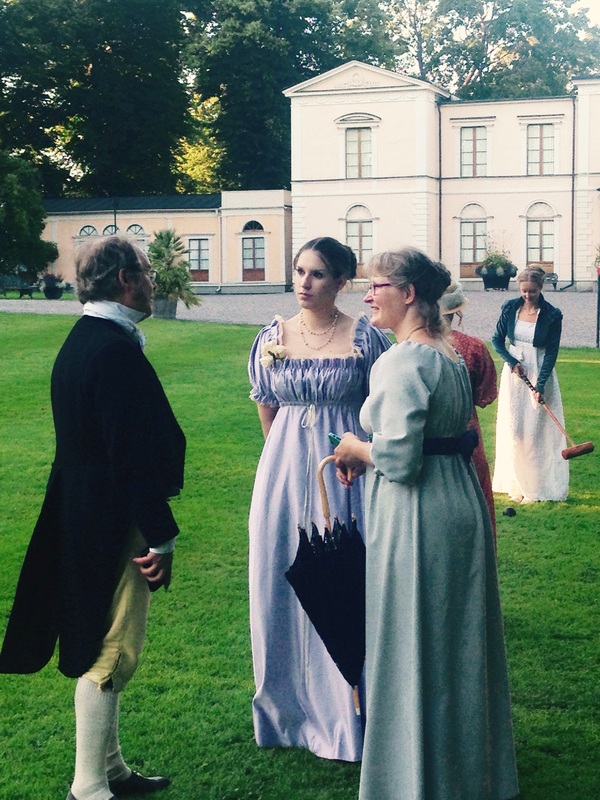 I was not able to attend the following day when the Regency Days continued at yet another castle with brunch, more dancing, visiting a church, and walking in the park. 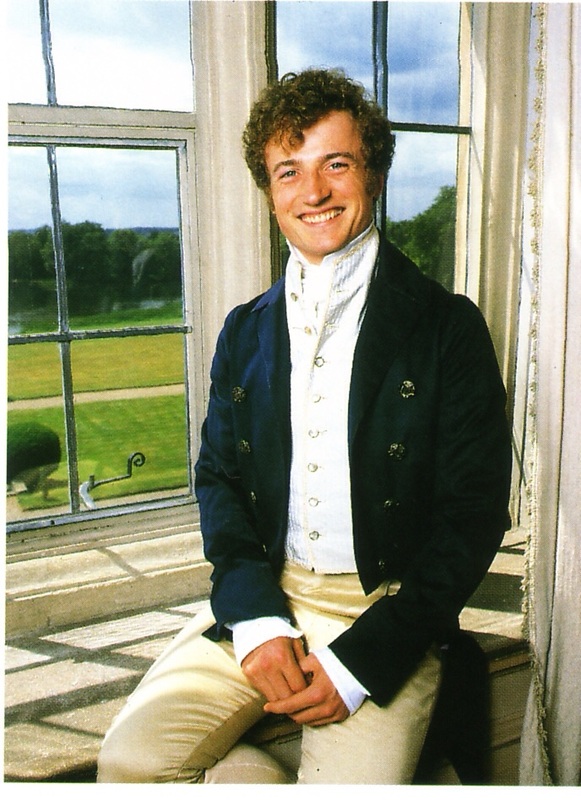 Sadly my Regency calendar has only blank pages so far, but I am sure we will meet again in the Autumn. The ball last Friday was a magic, glittering event. 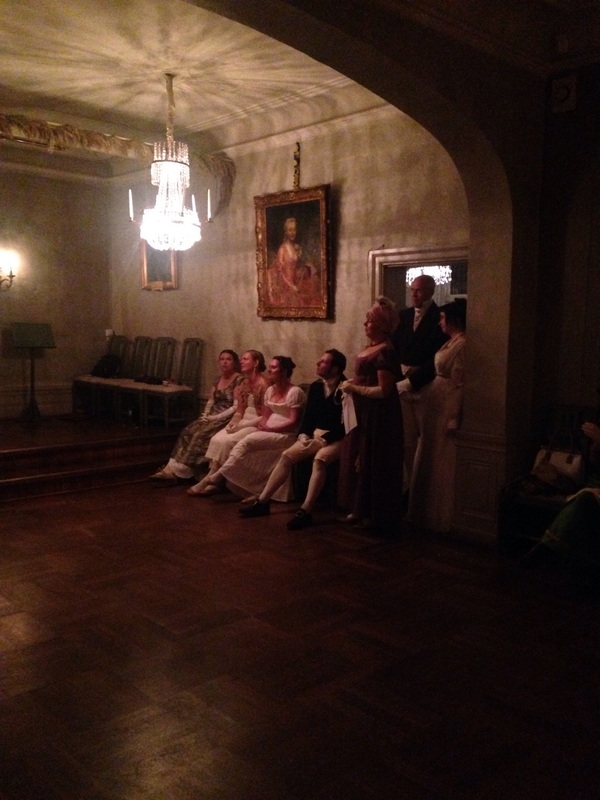 The venue was this late 18th century manor Kristinehof, built in what was then the outskirts of Stockholm. Today you get there by metro, if you don´t happen to live around the corner. 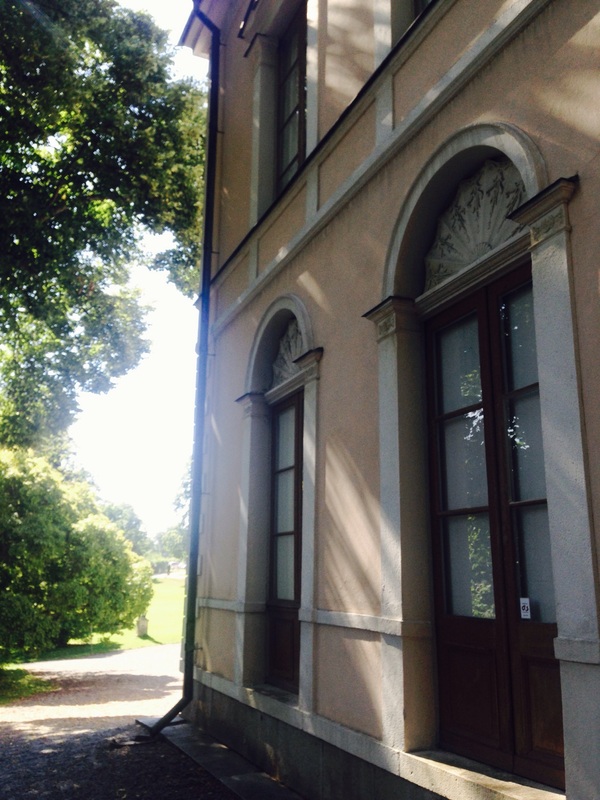 It was originally private, of course, but now it is sort of a cultural centre, and has been restored to its original state by one of the owners (or renters? 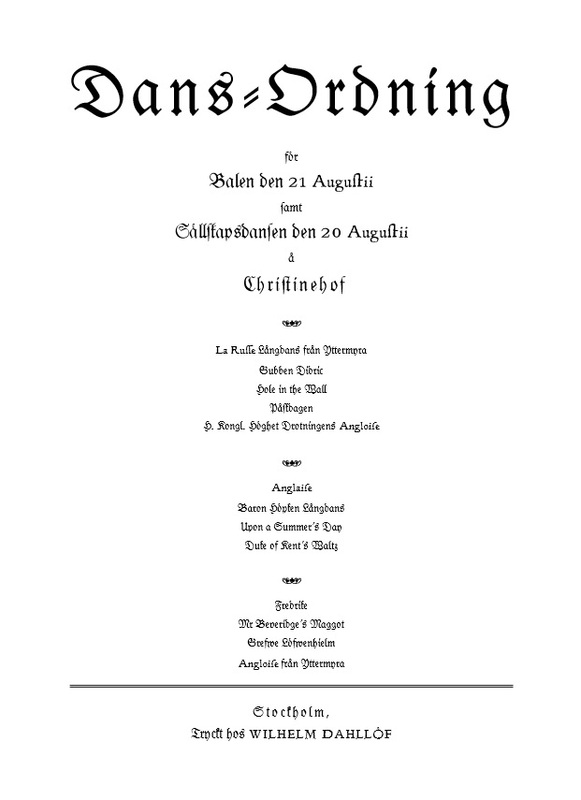 ), the Swedish Gustavian society Gustafs skål. 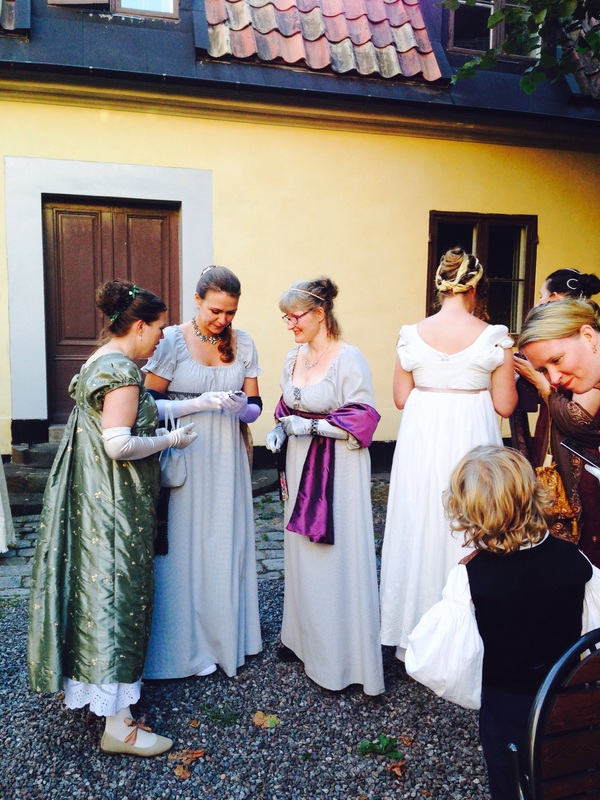 Everybody – experienced reenactors and dancers as well as new “debutantes” – had put in a lot of hard work on costumes and coiffures. And so many hours were invested in planning and creating the dinner, and choosing and rehearsing the music. It is wonderful to be surrounded by that sort of people, isn´t it? Arriving through the gates. Read about my attire here. 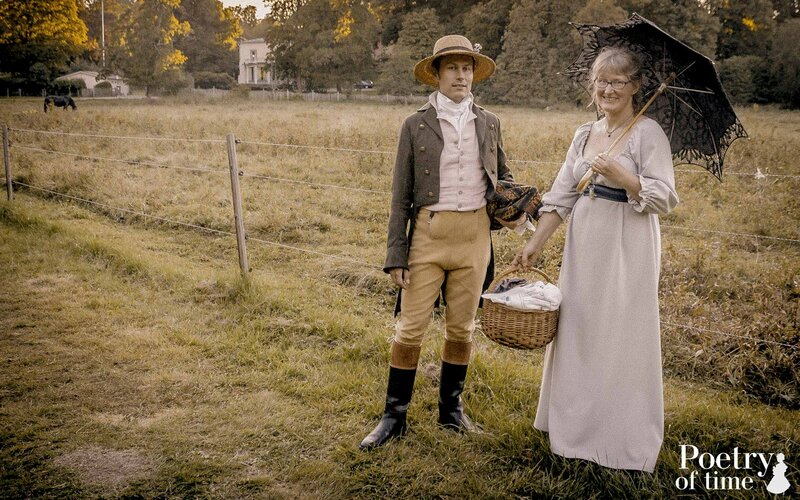 Photo by Matilda Furness. Elegant people in the courtyard. The kitchen wing is seen in the background. 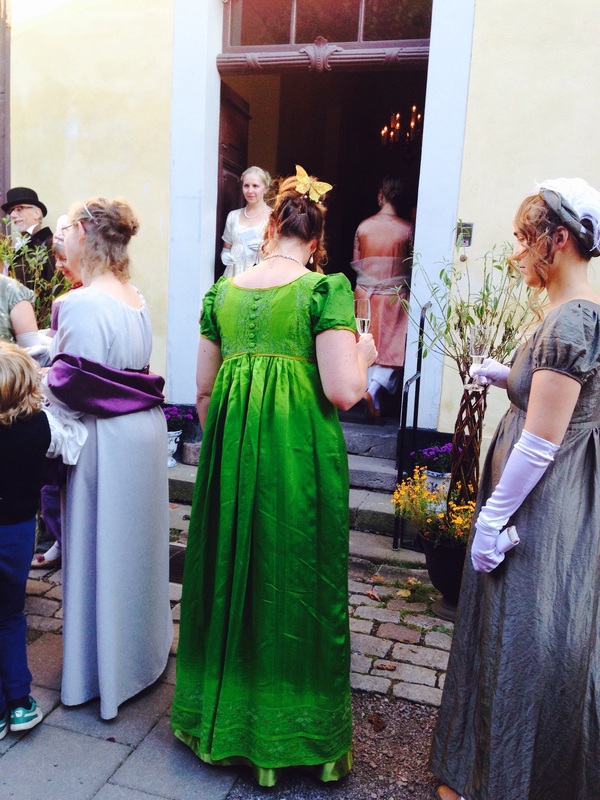 Scrolling through photos… I like the touch on the green dress – by 1815 the waistline was at its highest and skirts were becoming shorter. Olga was a new acquaintance. Her outfit was impeccable. 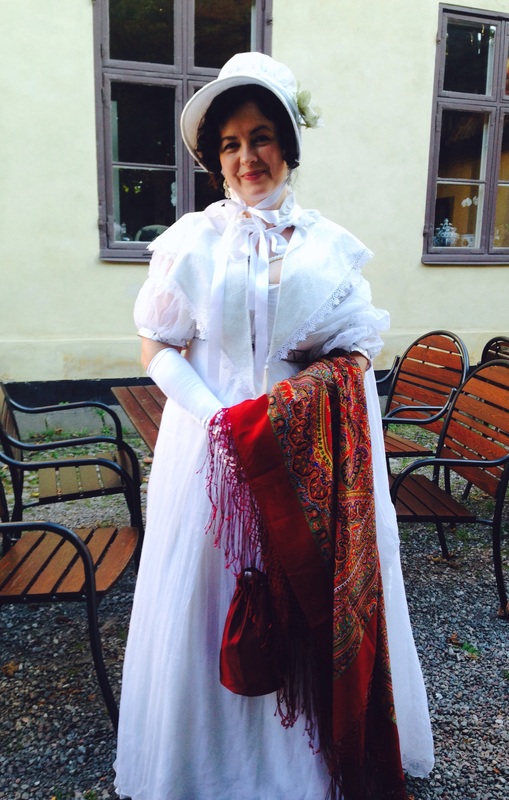 We were all excited to learn that she has connections in S:t Petersburg, and there is a vivid interest in arranging historial balls… When she removed her fichu and bonnet she had sparkling jewellery worthy of the Russian imperial court. Soldiers in regimentals were present. 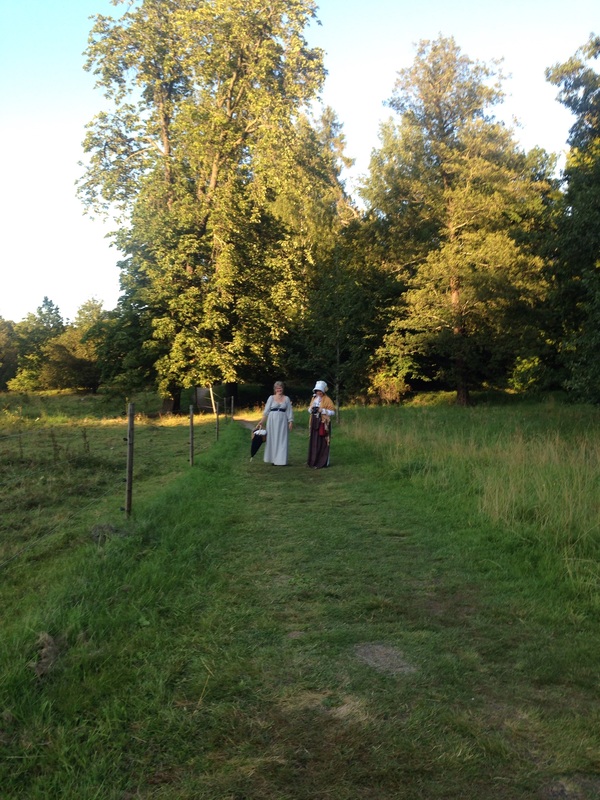 Newlyweds Jacob and Ylva welcomed us to the ball. 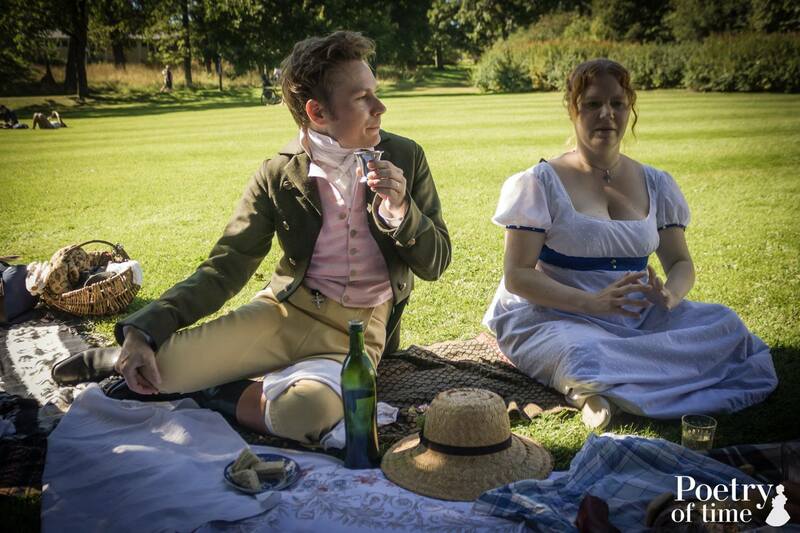 Photo by Matilda Furness. Transferring to the ball room in a graceful pace. Photo by Malin Gunnerhed. The dance programme (in Swedish, but you get the idea) was designed by W. Dahllöf, musician and band director. 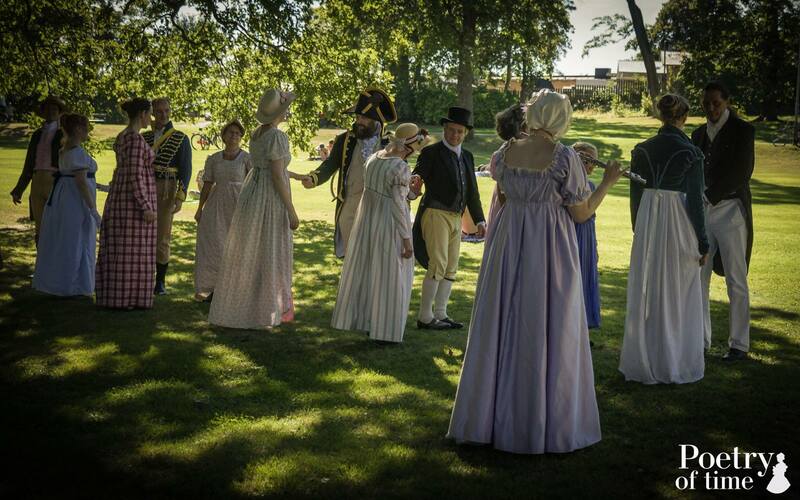 You probably recognize several of the familiar Playford country dances, but there were many (French) dances from Swedish historical documents, reconstructed by our dance mistress and the musicians. Before each dance we were given quick instructions, and they were also written down in our programmes. Some of the dances were repeated, and sometimes in a higher tempo. 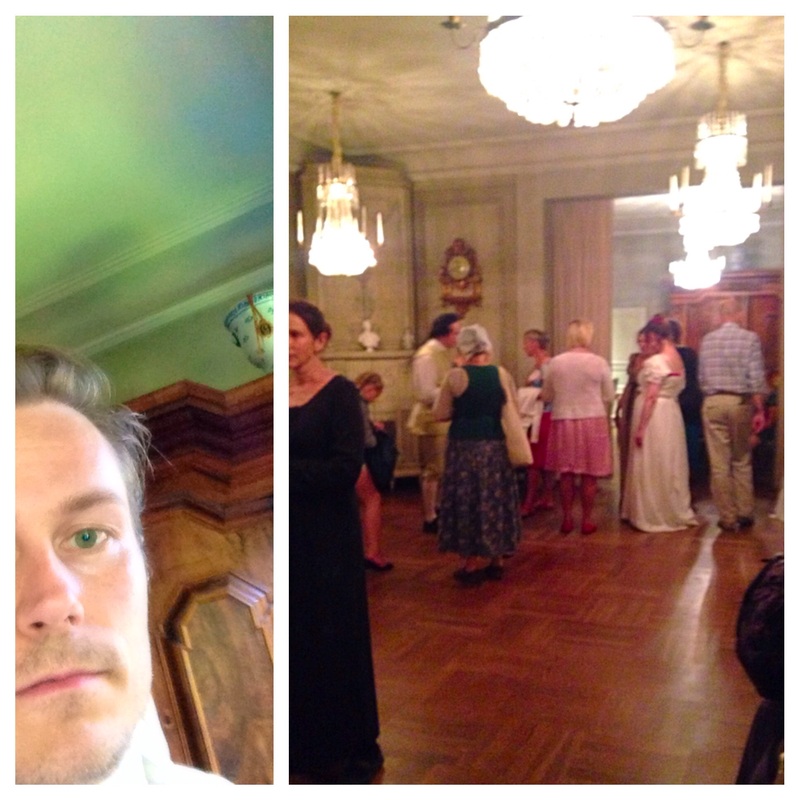 We were about eighty dancers, so it was really crowded and warm in the ballroom. Dinner was served after the first segment of dances. There was an abundance of delicious homecooked food with Chicken Marengo as one of the highlights! This after the second segment when we had coffee and a lavish dessert buffé. 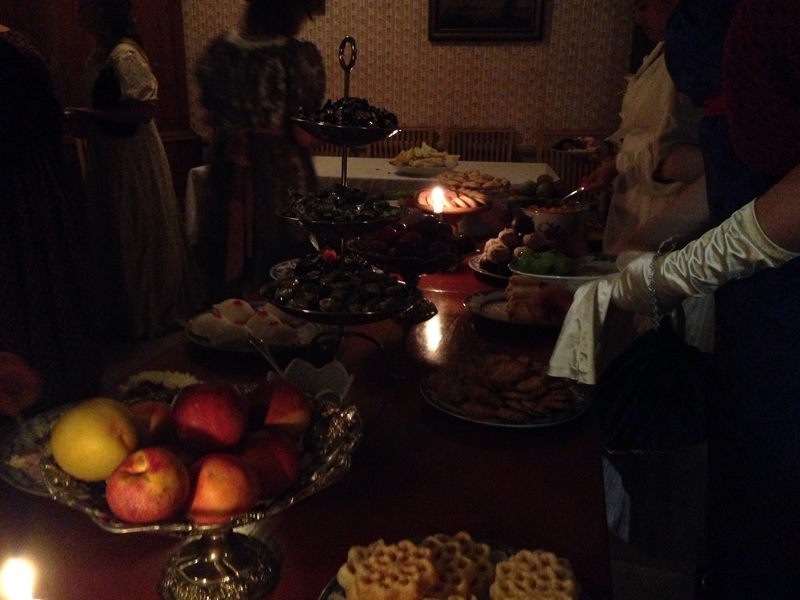 After dinner, before dancing, we were given several performances: together we sang The Plains of Waterloo, and we heard the old Habsburg hymn in Hungarian (Same tune as the Germans hymn, other lyrics), and the Russian Imperial hymn, an Italian aria, and – scandalous – The Marseillaise. 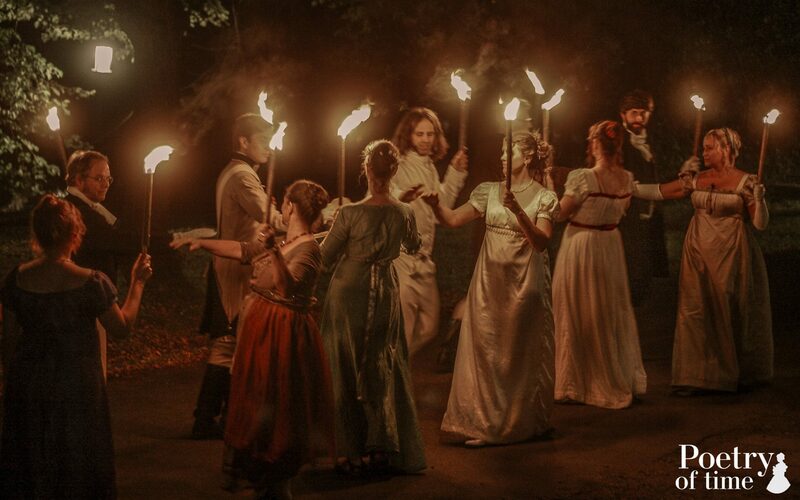 The ball ended at midnight out in the dark courtyard where torches lit up the final dance. Photo by Olga Peshkova/Poetry of time. I could easily have danced many more hours, but all things come to an end. My head was full of music when I dragged my soar feet home. It was a memorable evening indeed. It all started on Thursday night with a lengthy dance practice. A list with thirteen (!) 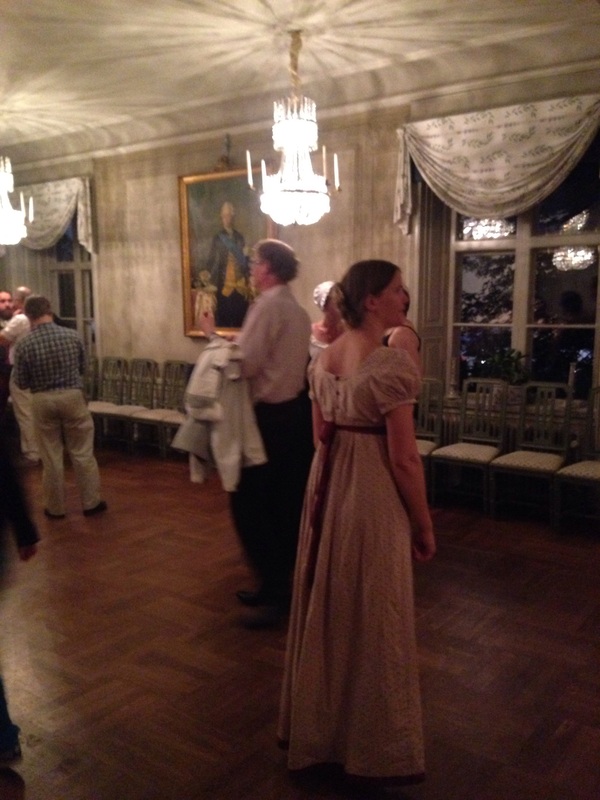 dances were in announced for the ball, and several of them were new to many of us. Period costume was optional. 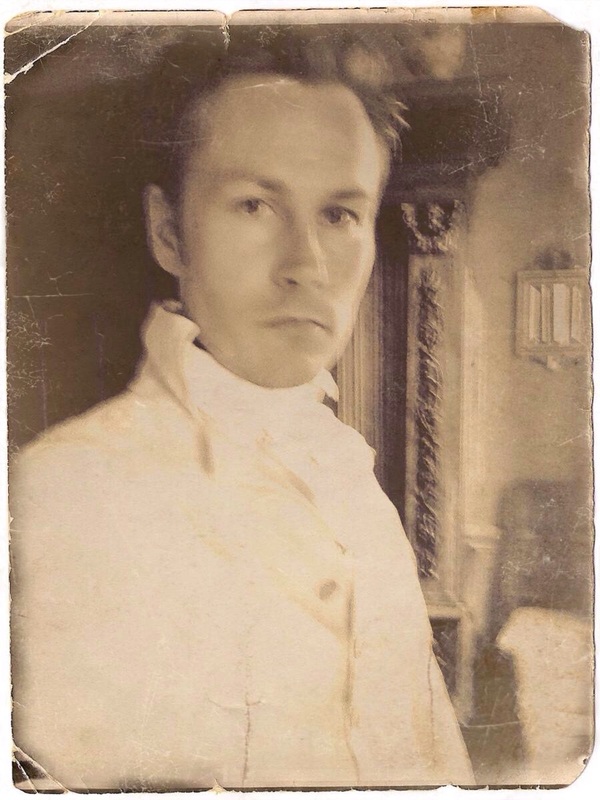 Not going in costume would have been a waste, so I chose a sporty outfit consisting of shirt, linen waistcoat, cravat, black trousers, and boots. 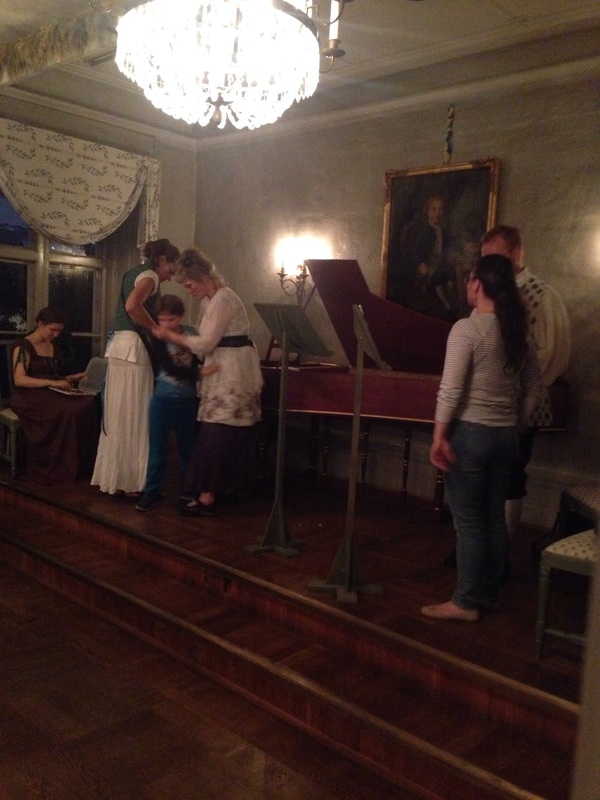 The wonderful musicians were there, as was our teacher, Mistress Anna Löfgren. We were about forty students, all eager to learn. We focused on the quadrilles, which made me dizzy by the end of the evening. 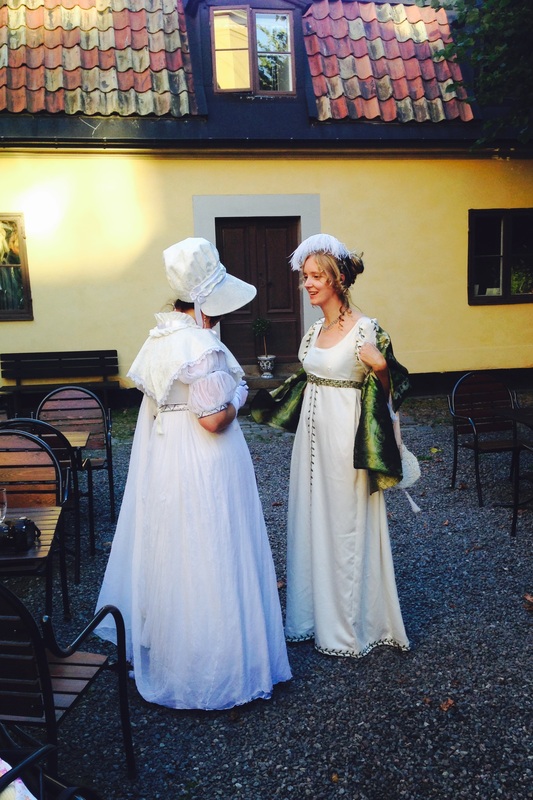 There was no camera, but below is one of the quadrilles, Fredrike, recorded on a different day with some of the friends who attended the ball, here in 18th c. costume. Needless to say we were all very excited about the ball. I quickly snapped some photos when we were in general turmoil, before dragging our tired feet home. I used new grosgrain ribbon (100% cotton) for garters. 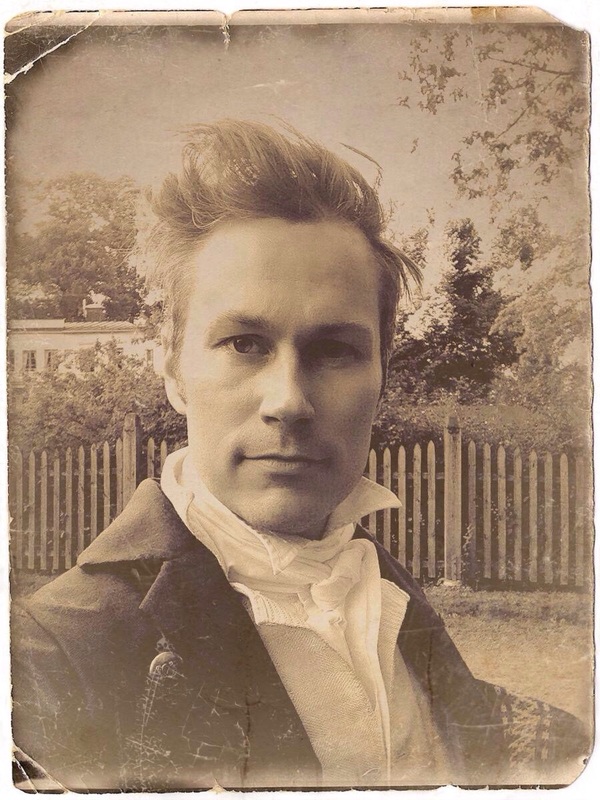 This post is already a mix of all sorts so why not throw in a “daguerrotype” selfie as grand finale? 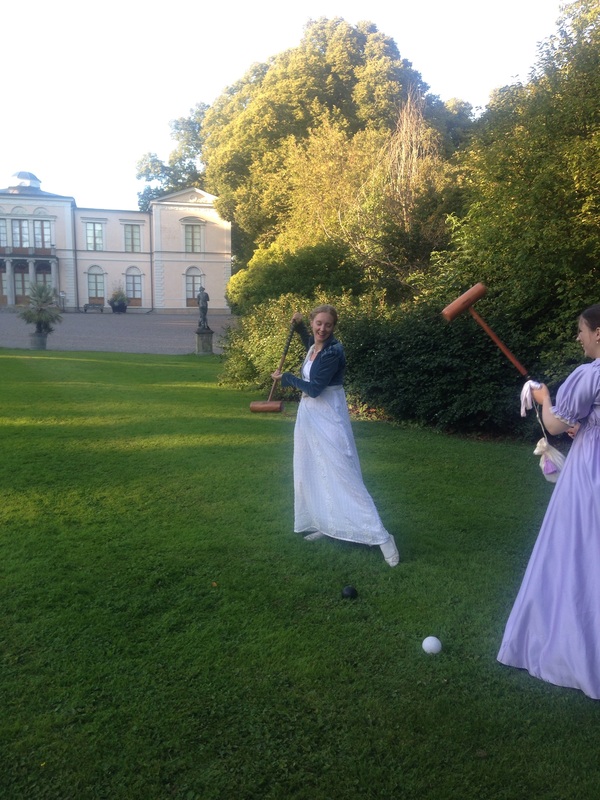 A post with everything about the ball and following picknick follows as soon as I get all photos sorted! 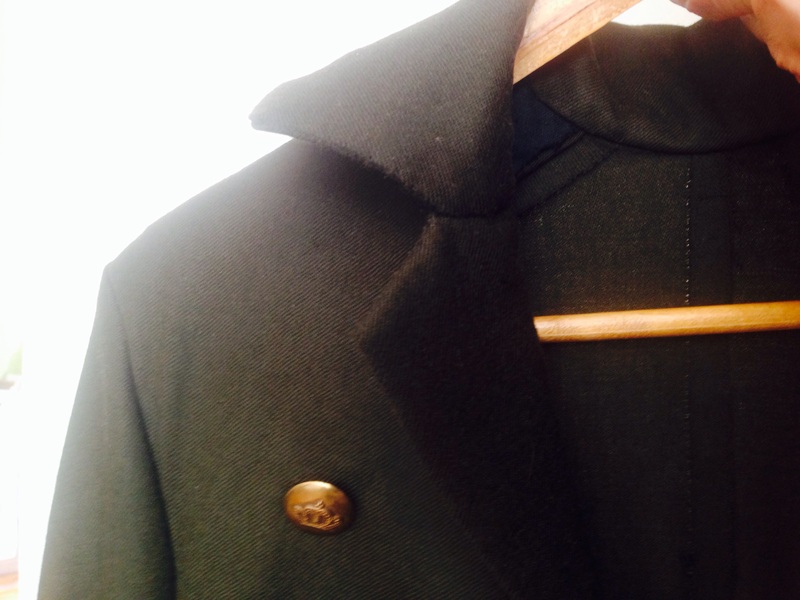 A New Tailcoat! Part 4. 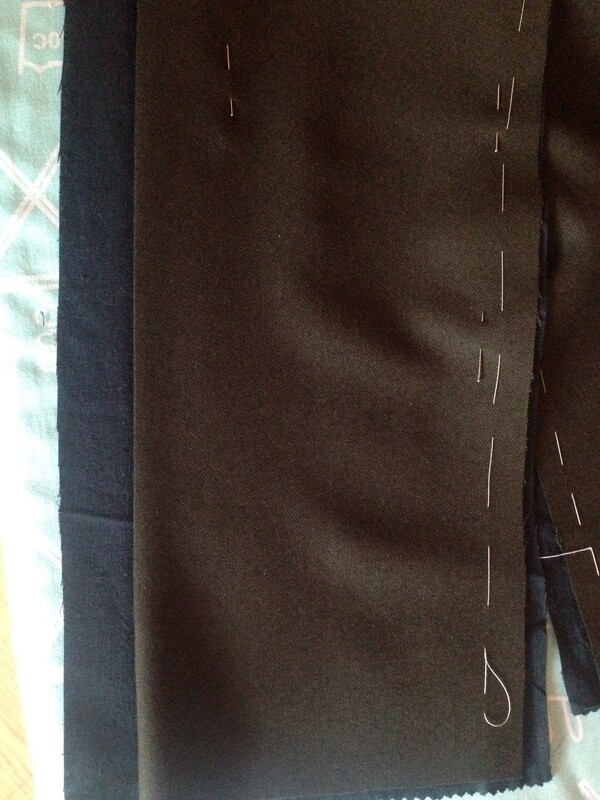 I swear, the clock ticks faster when there is a tailcoat to be done. 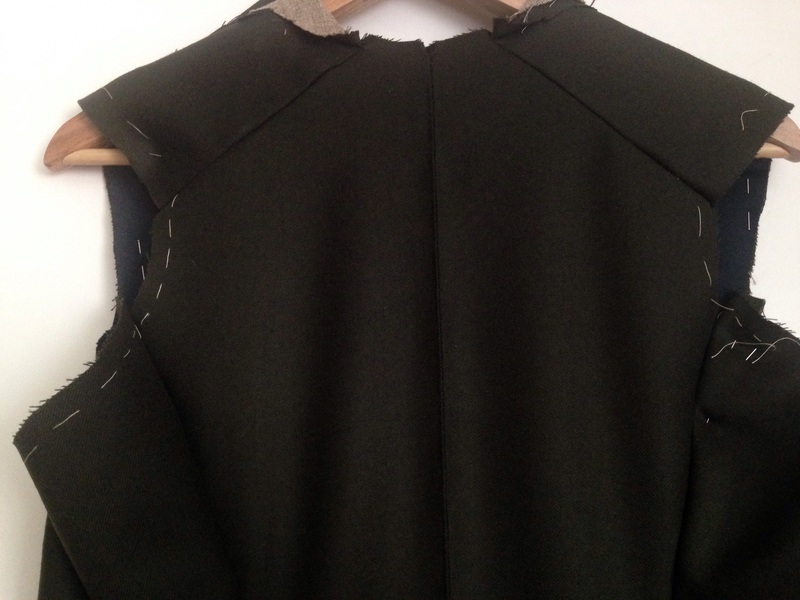 It was a hectic week with this tailcoat project, work, dance practice – and then switch gears from frantic last minute sewing in a home scattered with ironing boards, scissors, pins, scraps of wool, and what have you – to graceful manners in genteel society. You know exactly what I mean, don´t you? In my last post I left you with this, and was about to sew on sleeves. That was fairly uncomplicated, due to already having a toile (mock-up) so there was no need to adjust the fit over the back and shoulders. 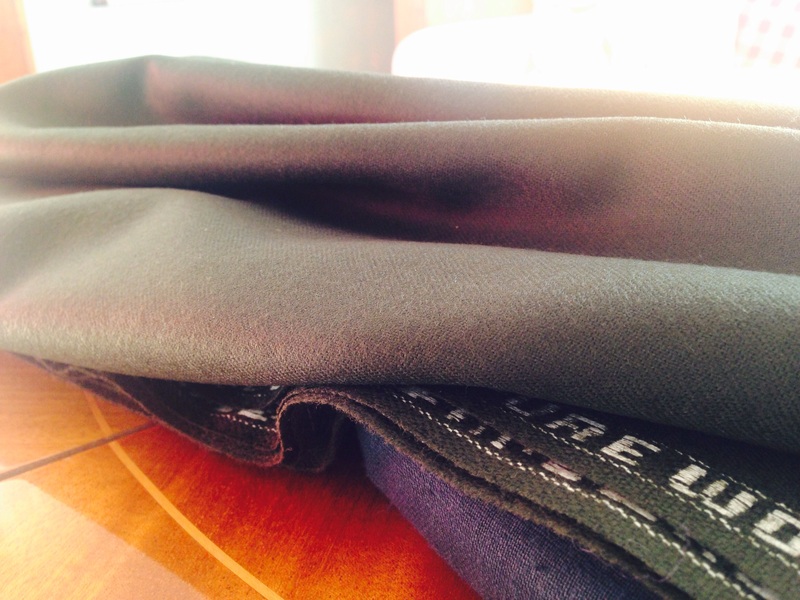 Cuffs in making: I drafted the pattern and cut three layers for each cuff: wool + linen + wool. 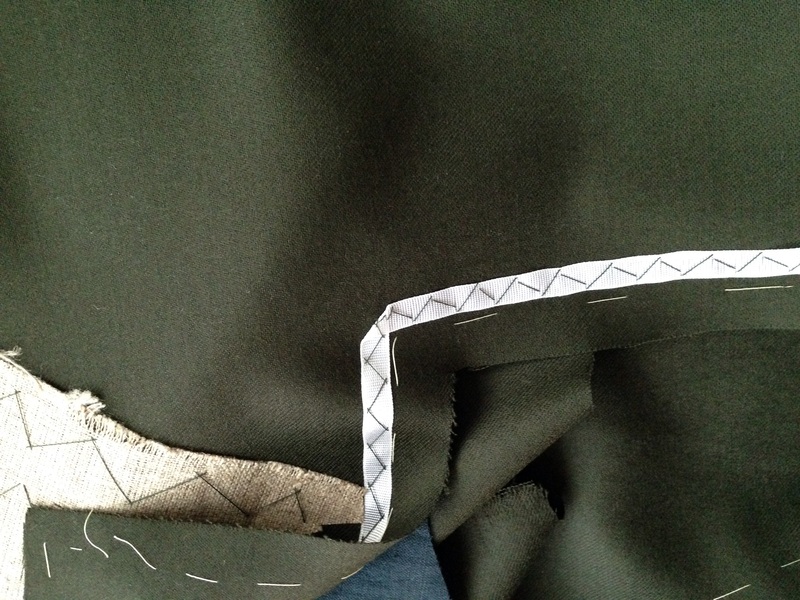 With right sides together they were sewn on three sides (bottom and both ends). Corners were trimmed, then right side turned out. 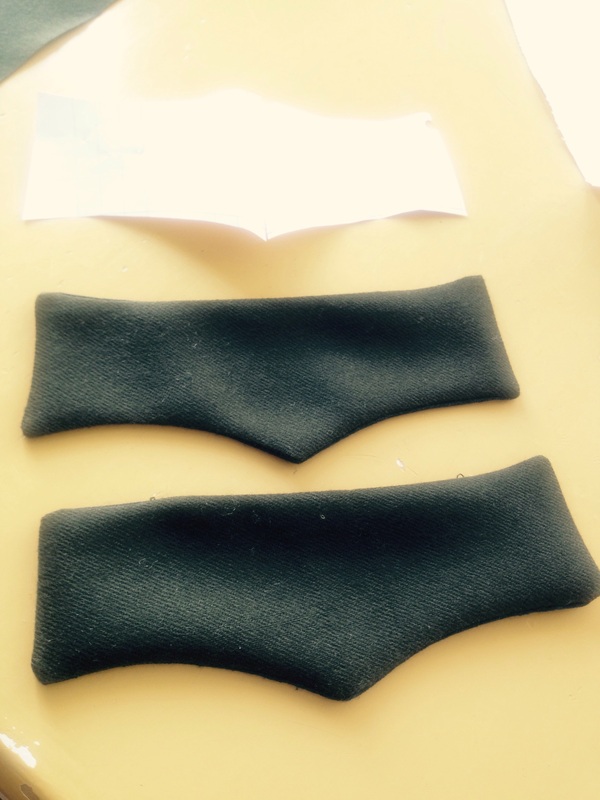 Pocket flaps (non-working pockets): top, in progress and below, the finished flaps. These were cut in one layer of wool and one layer of linen. Similar construction as cuffs. Top edges left open, raw edges folded in, pressed and basted on to the coat. 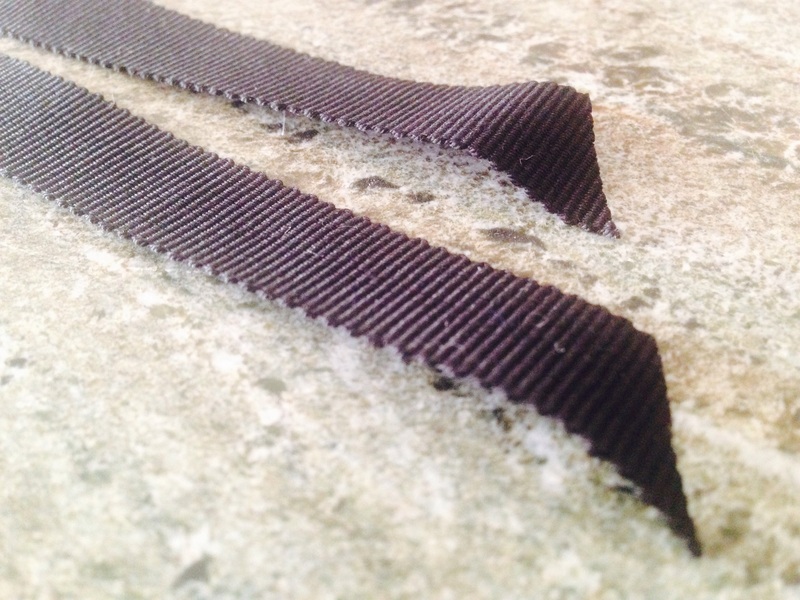 Collar: I needed to focus, so I completely forgot to take pictures of the pieces laid out flat. 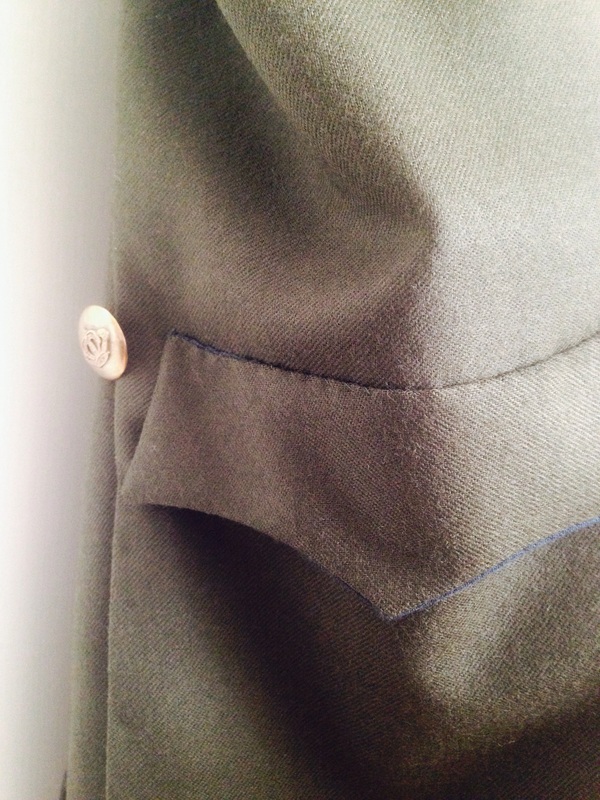 The undercollar was pad-stitched to embroidery canvas, pressed and steamed, and pinned to the coat. When position looked good I whip-stitched along the same line. 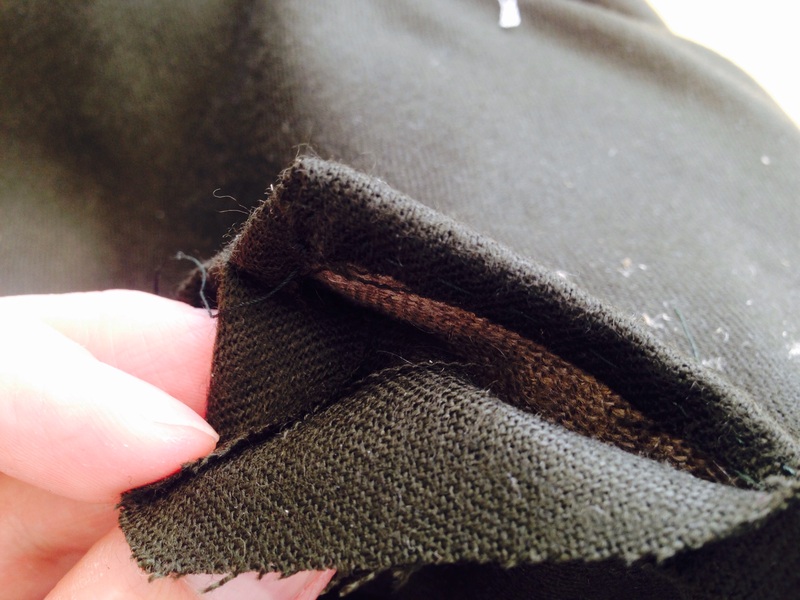 Upper collar was then sewn to cover the canvas. 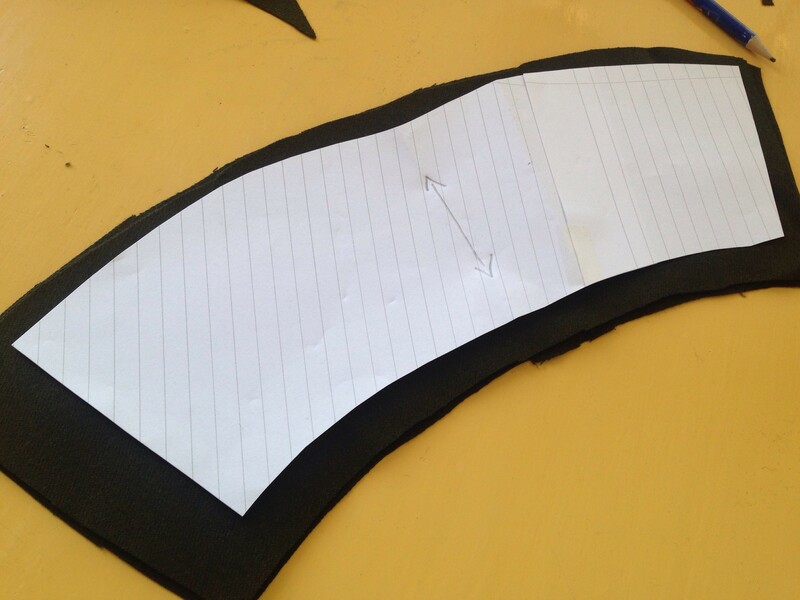 I folded the edges and whip-stitched the layers together. 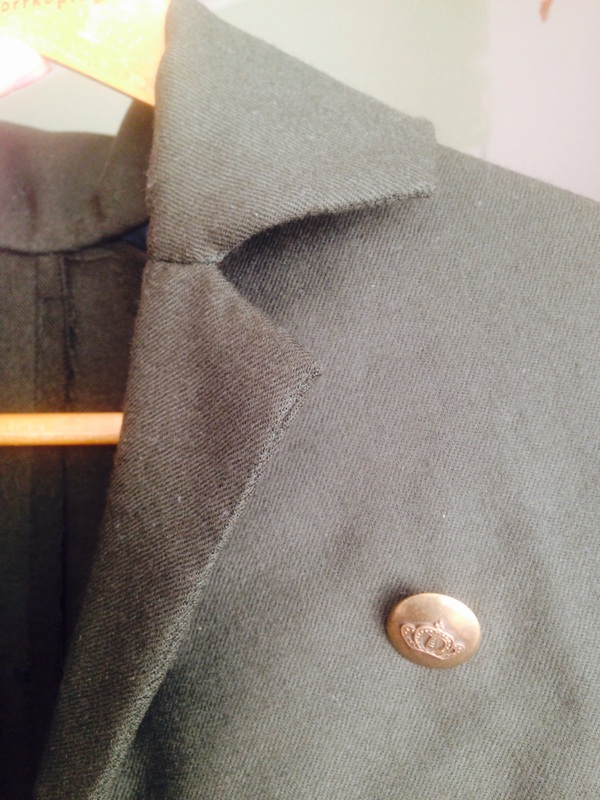 Here is a closeup of the collar (or is it a lapel?) on left side. There! And buttons! 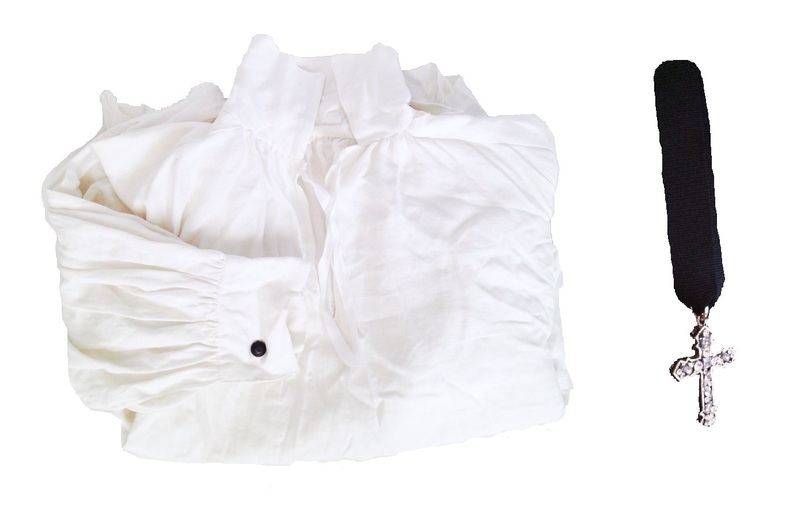 In order to avoid overheating, the back and sleeves were left unlined. And seen from the back. The unsightly creases are caused by the hanger. Friday afternoon was really warm and I was running out of time. When the last thread end was cut off it was high time to get dressed. And then off to the ball! 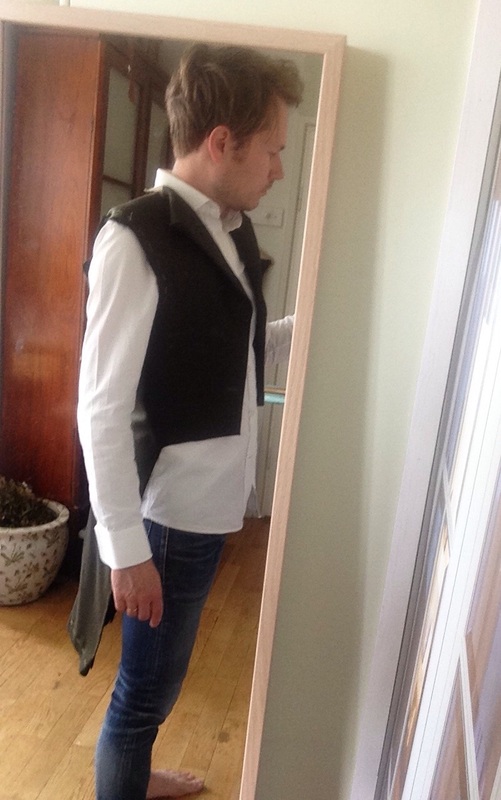 A New Tailcoat! Part 3. 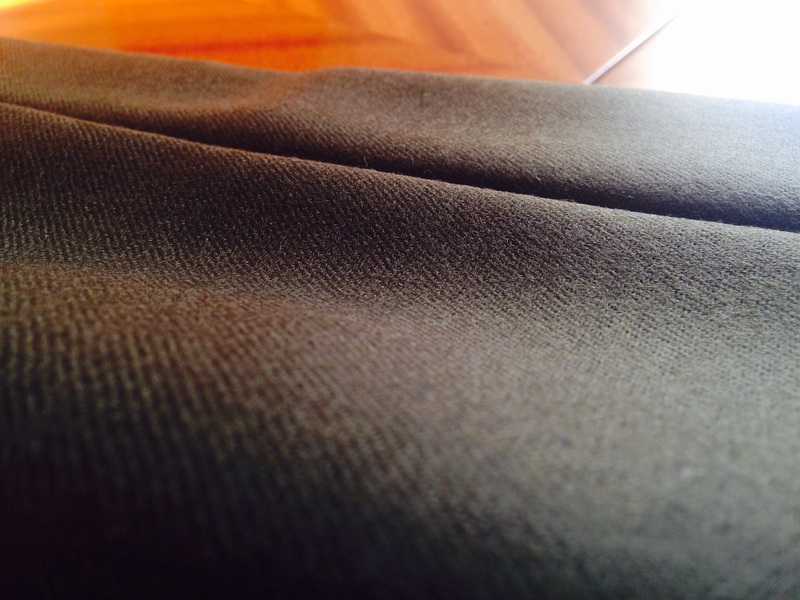 Then I was about to start on the collar and lapels – when I changed my plans. 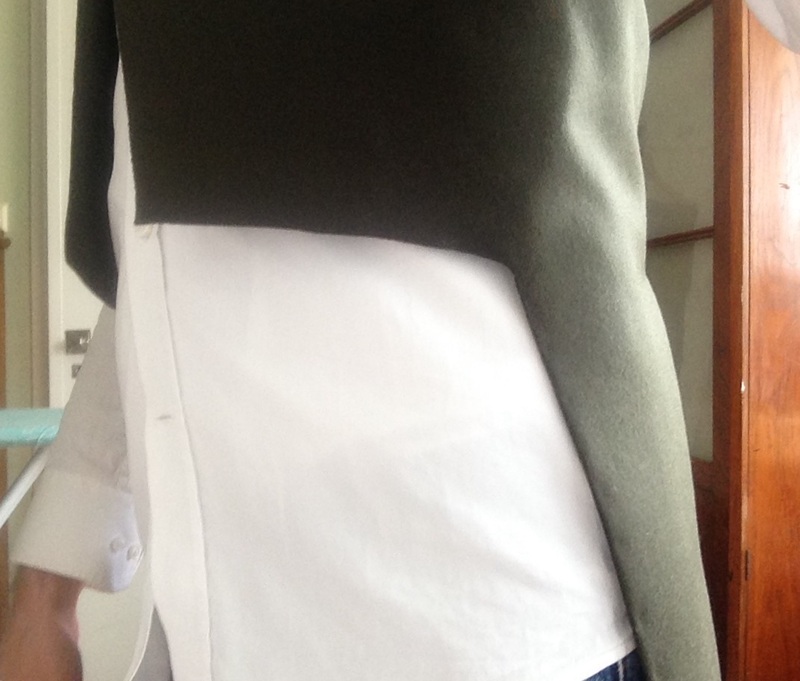 It was really going very well, padstitching done, but on Sunday afternoon I realised this wasn´t what I wanted… August and all, and here I was making this warm and cumbersome garment. After some quick research I made a big change to the design. I cut off half of the front and one inch off the tails (front edges). No photos of the process, but you understand what I mean with these following images. 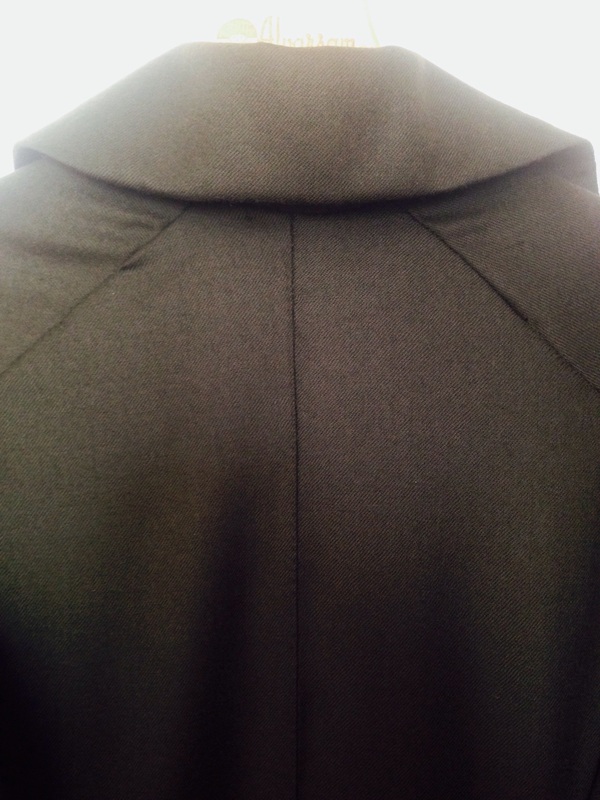 At a quick glance there is nothing new to see, but actually this type of coat has a more restrained design. 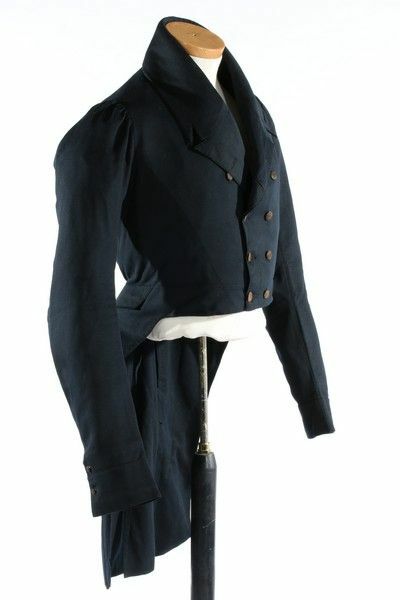 It doesn´t close, in the same fashion as modern tailcoats. No flapping fabric. 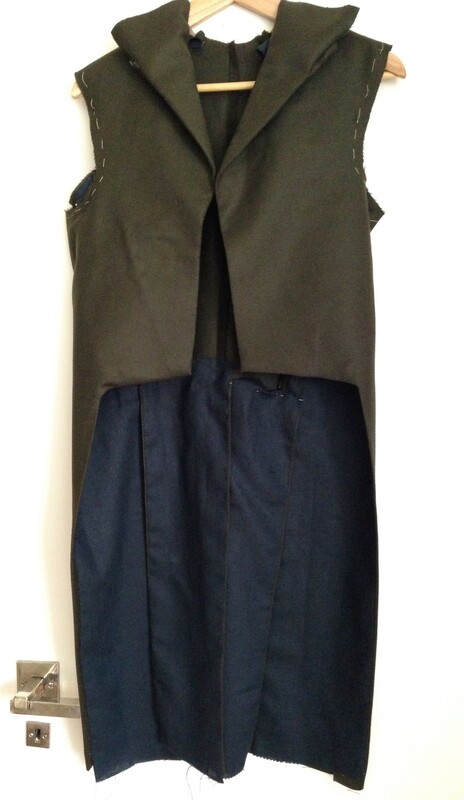 The coat in its demolished state. But now with neatly stitched edges. Some awkward angles in front of the mirror. 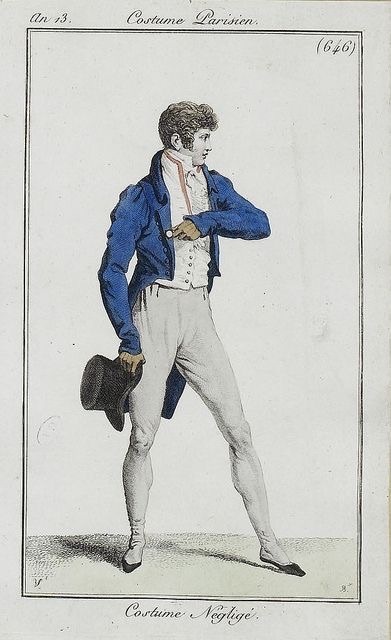 Weird without waistcoat and breeches, but you get the idea. Sleeves! Appears blue here but it is still same green wool. Two pieces. Slightly gathered to ease in. 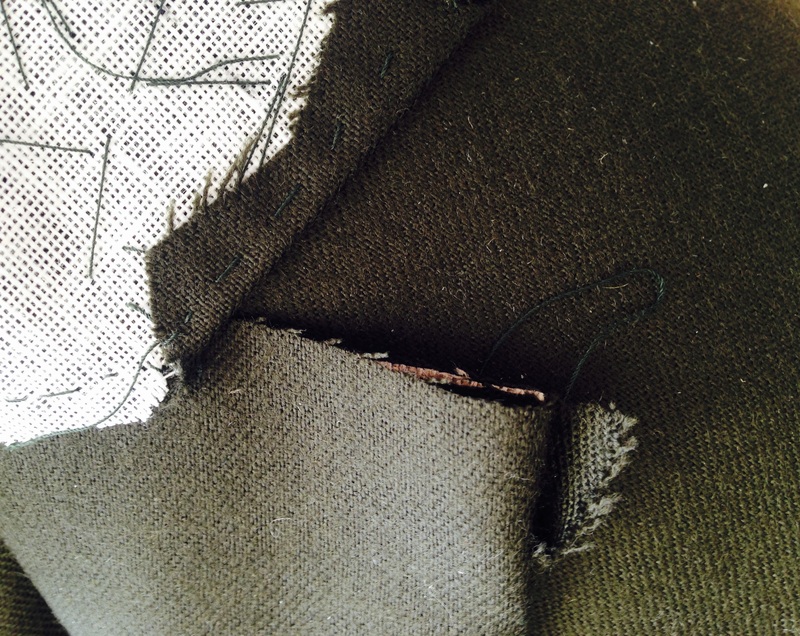 White thread is removed when the proper stitch is done. Weekend? What is a weekend? I know what I will be up to anyway. 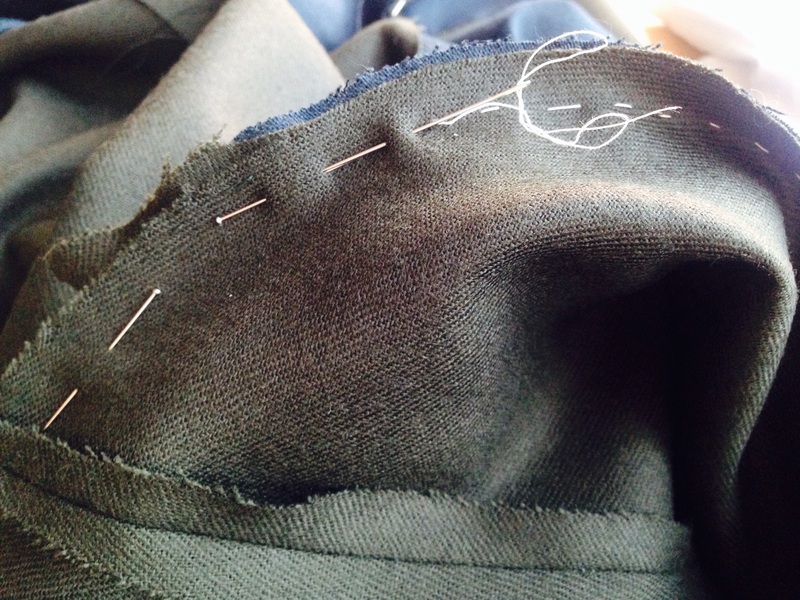 Sewing. 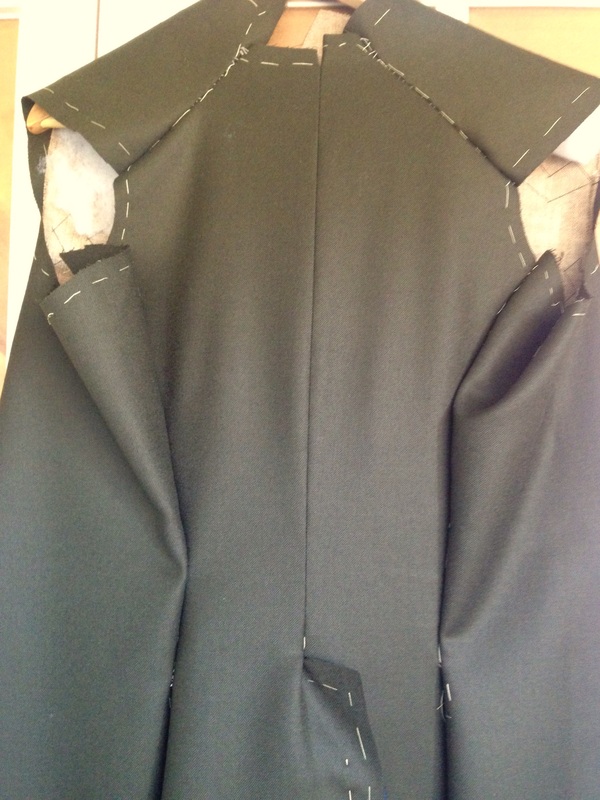 Here follows a quick update on the tailcoat-status. 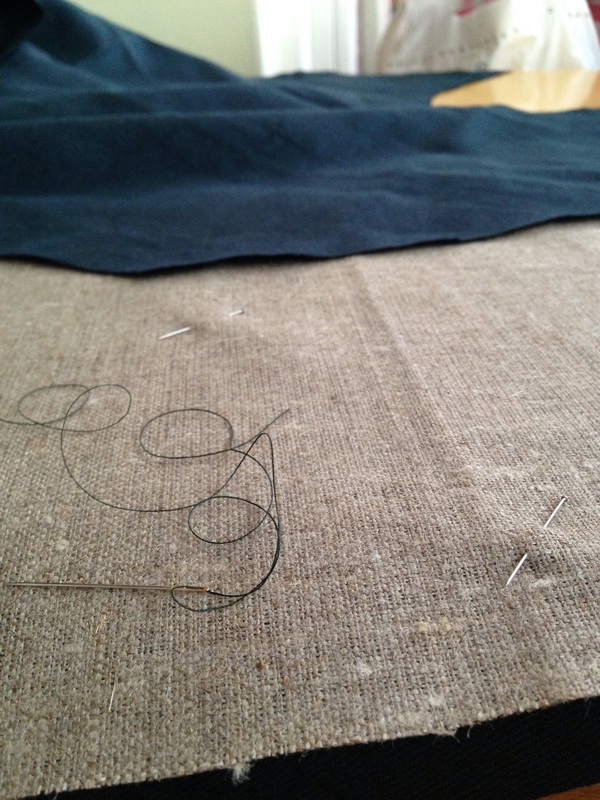 Last week I made a new toile and cut all main pieces in wool, linen and (where required) canvas. 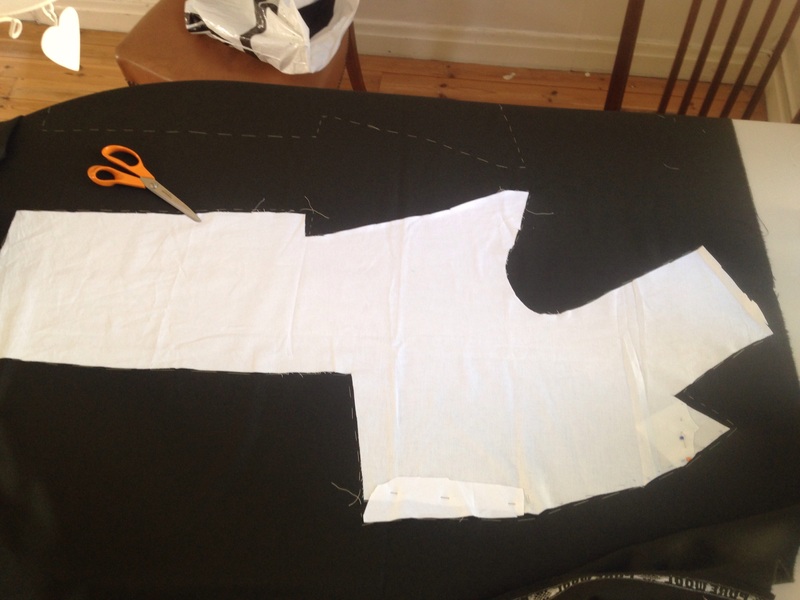 Luckily my 2,5 metres was more than enough so it will be easy to cut pocket flaps, cuffs, and collar. Then it was high time to return to work after a long, glorius vacation. Perhaps not the best idea to start a new sewing project the same week. Below I was about to start padstitching the linen canvas to the front. When that was done I added some padding to the shoulder/chest area. 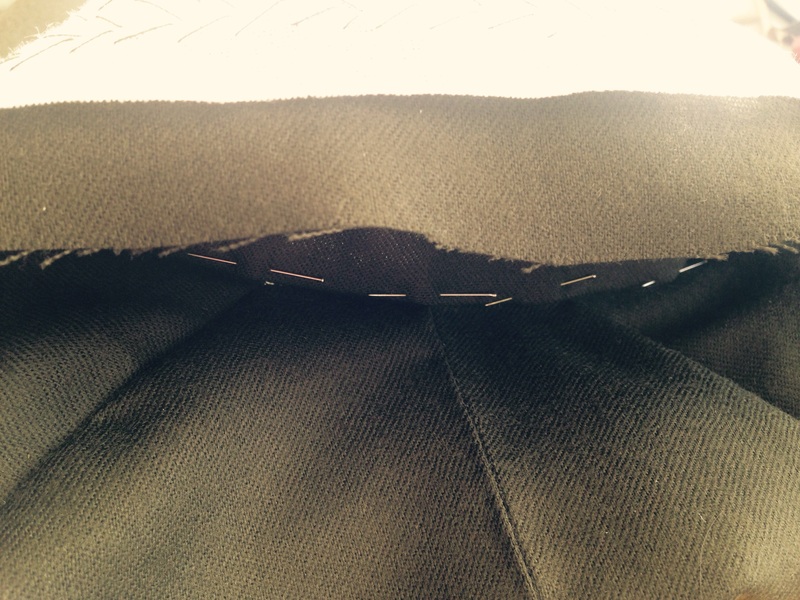 I continued with stitching cotton tape to reinforce the bottom edge and tail. The back looks like a mess, but do not get upset. 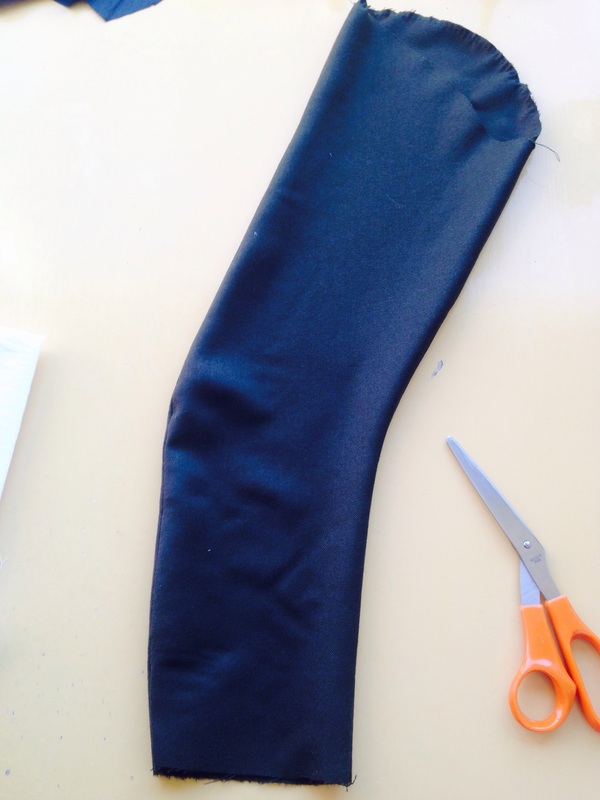 Only the middle back seam is done properly at this stage. I see now that the neck opening needs to be trimmed quite a lot. The padding is seen through the armscye. 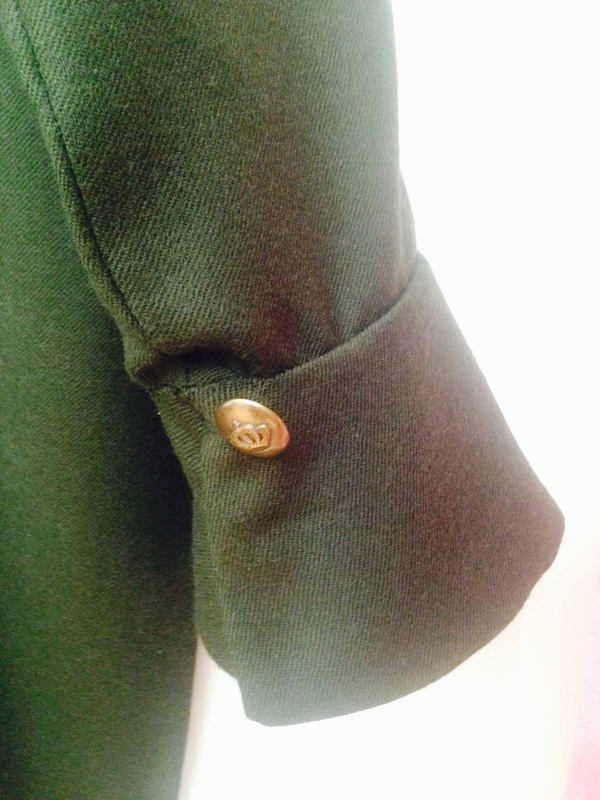 Oh, and I have stitched the sleeves (under sleeve to front). No photo documentation of that, though. Hopefully there is more to come after two days of work, so please stay tuned! 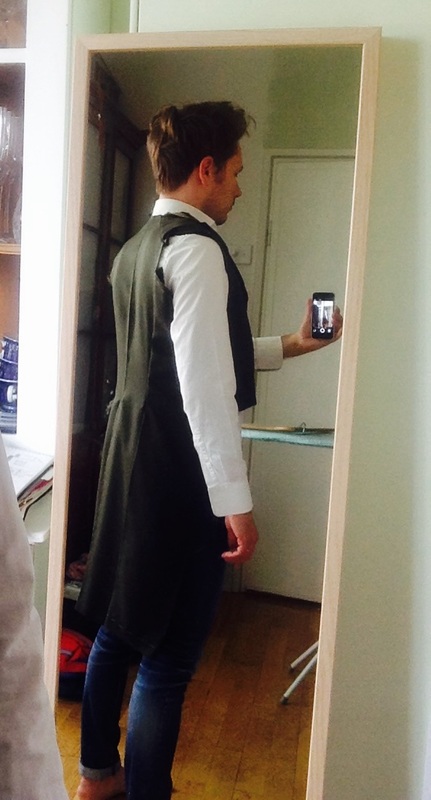 A New Tailcoat! Part 1. One of the most anticipated events of the year is soon here. In fact, the date is coming closer at an alarming speed. I am talking about The Season. 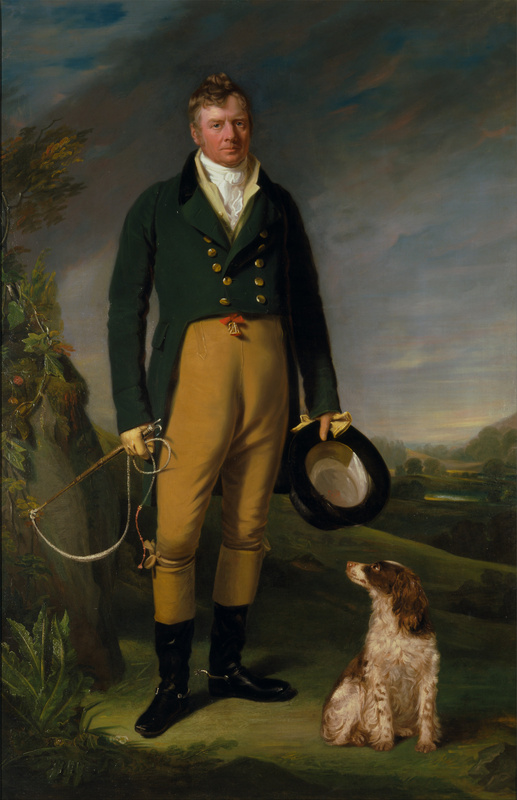 It is THE event for any person with the slightest interest in the Regency/Empire-period. 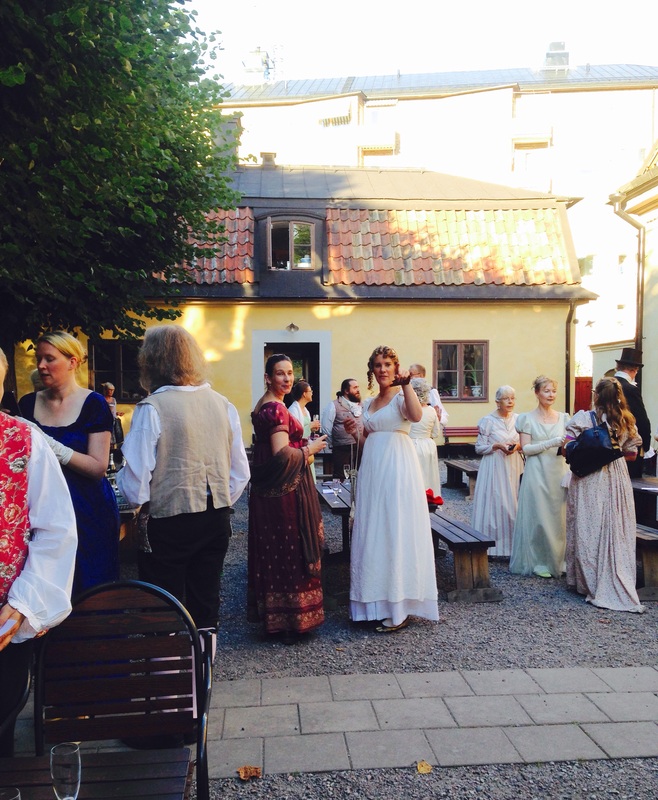 Three days of music, dancing, and picnics in beautiful Stockholm. The highlight is a ball with live music and delicious dining in a lovely setting. 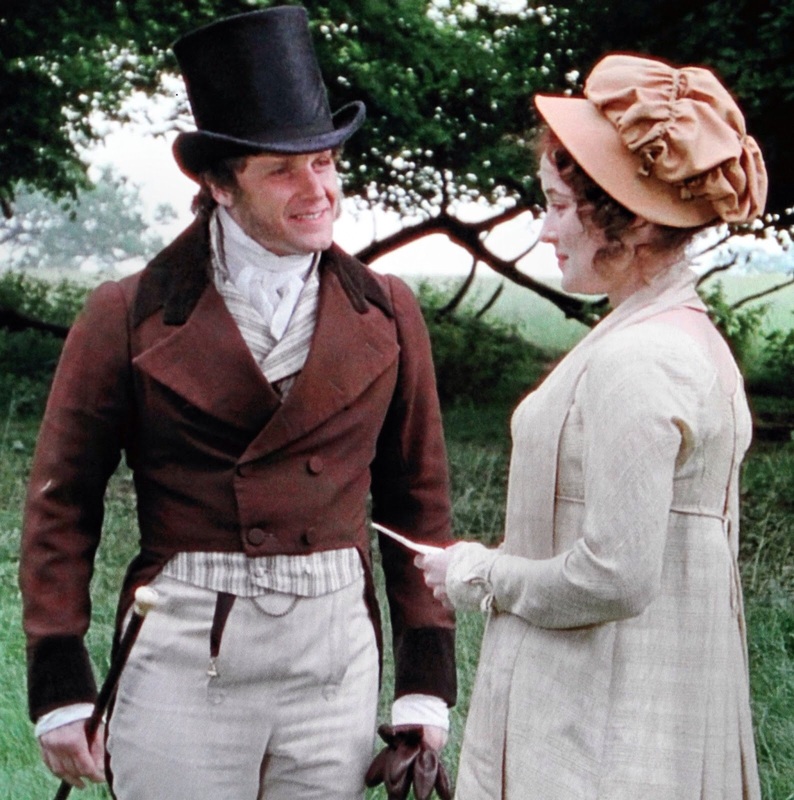 Now, gentlemen are always scarce, so it is only my duty to make an effort, despite being an old married man and all. 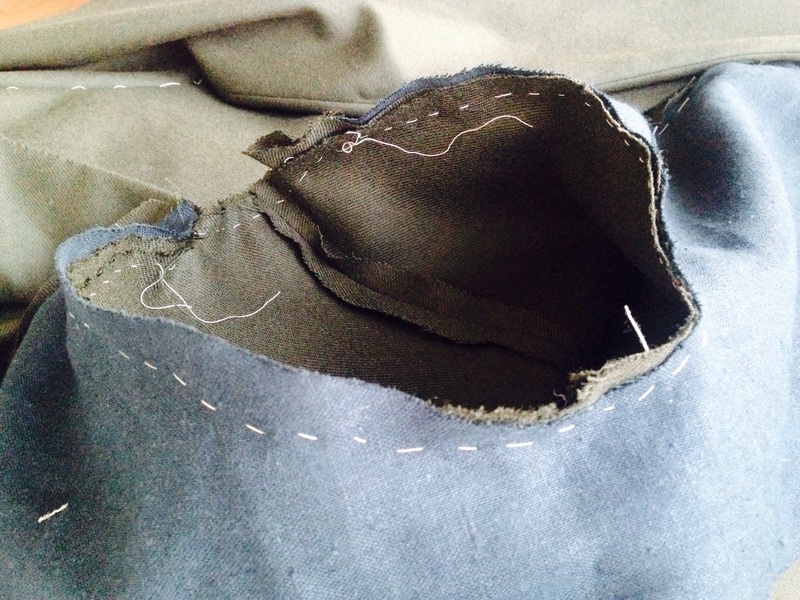 So, with only a fortnight to go, I have decided to brush off my tailoring skills and make a new tailcoat. 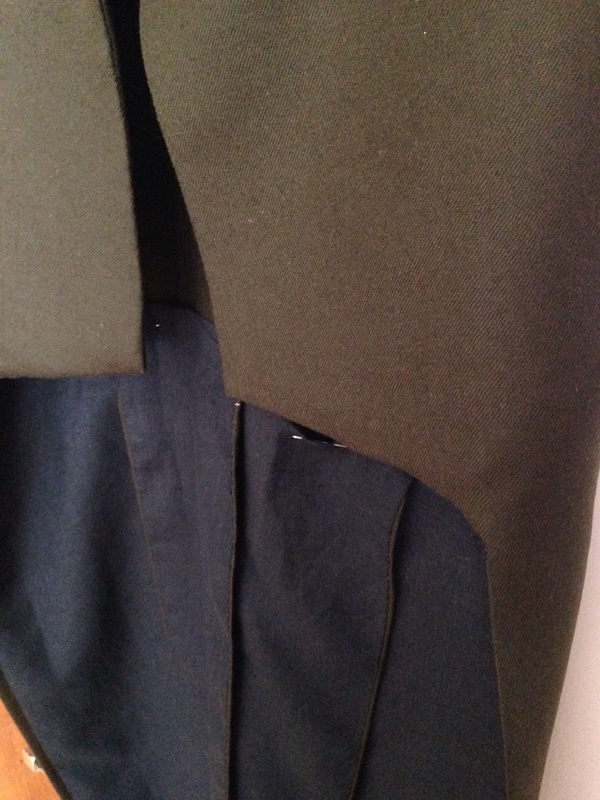 There is nothing wrong with the coat I made last year – the swallow tail, with a curved front, remember? 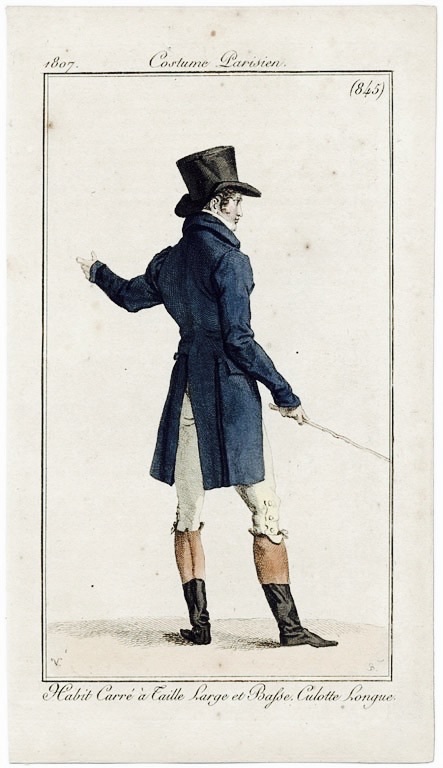 However, the typical Regency style coat – with double-breasted front, cut straight off, and large lapels – would be a welcome addition to any Regency-wardrobe, wouldn´t it? 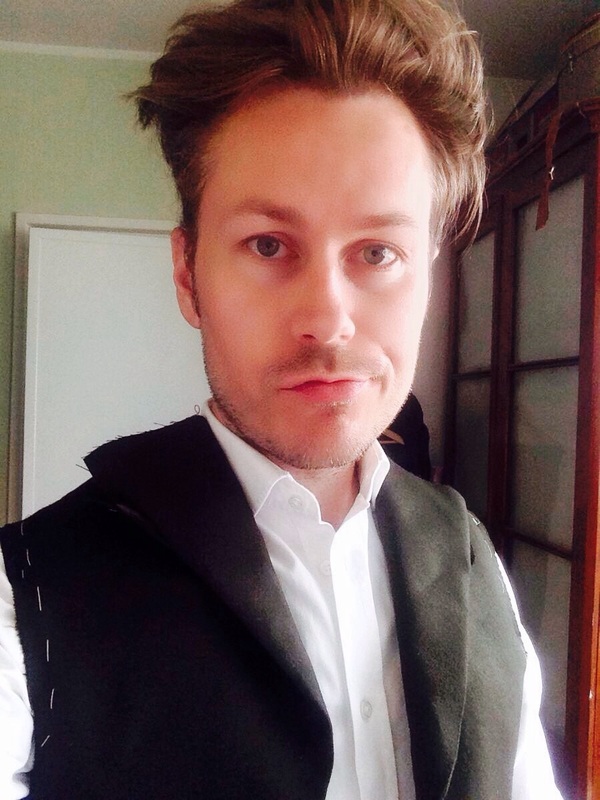 Mine in particular… I am usually not a great admirer of double-breasted jackets (lot of material that creates bulk, and the buttons accentuate a horizontal proportion that can make the wearer – ever so lean – look short and stout). 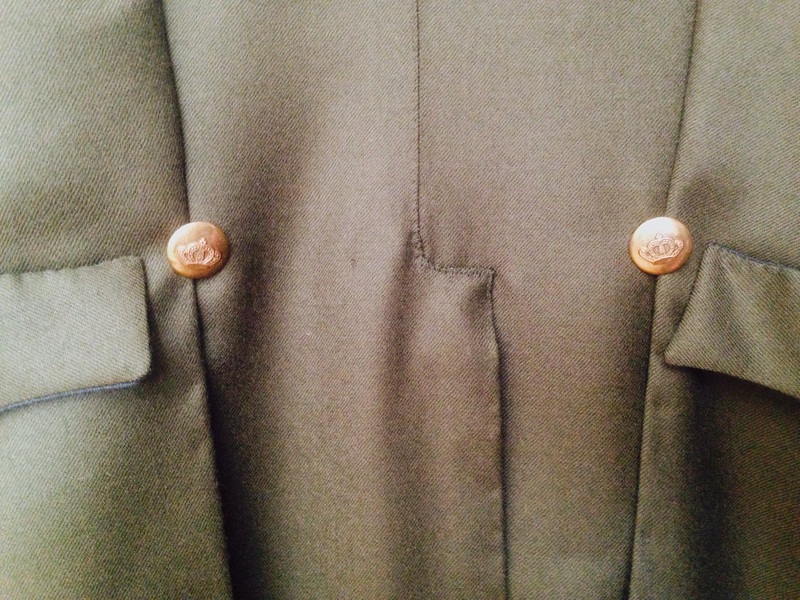 I will have to experiment with the placement of the buttons (self-covered, I think), to achieve more elegant proportions. 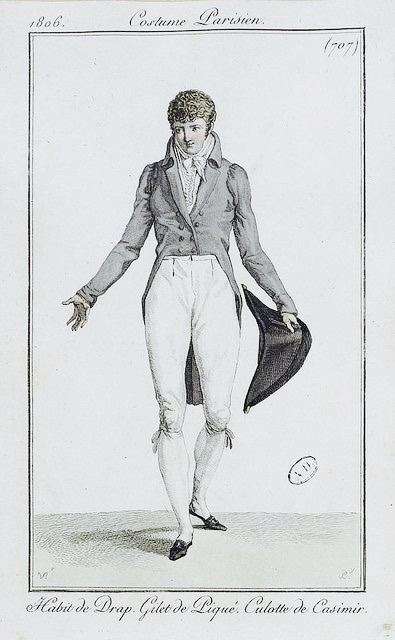 Over to my main source of inspiration: fashion plates and portraits from about 1805-1815. 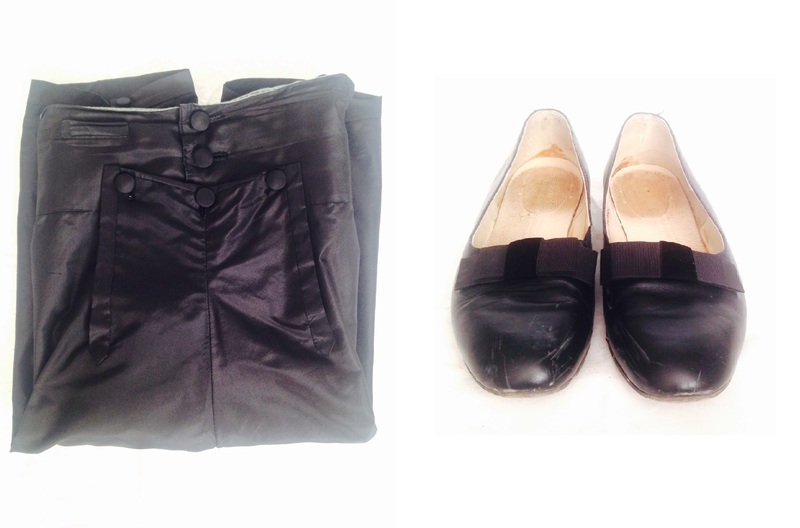 There are so many to choose from, but here is a small selection, showing outfits for daytime and evening. You have to admit the coats look darn good! 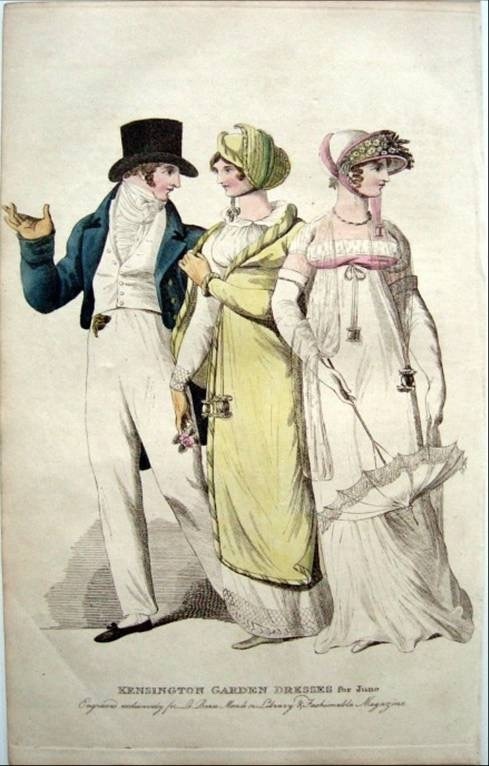 This smart gent and the two below are dressed for morning or daytime. Replacing the boots with stockings and shoes makes the outfit more formal. 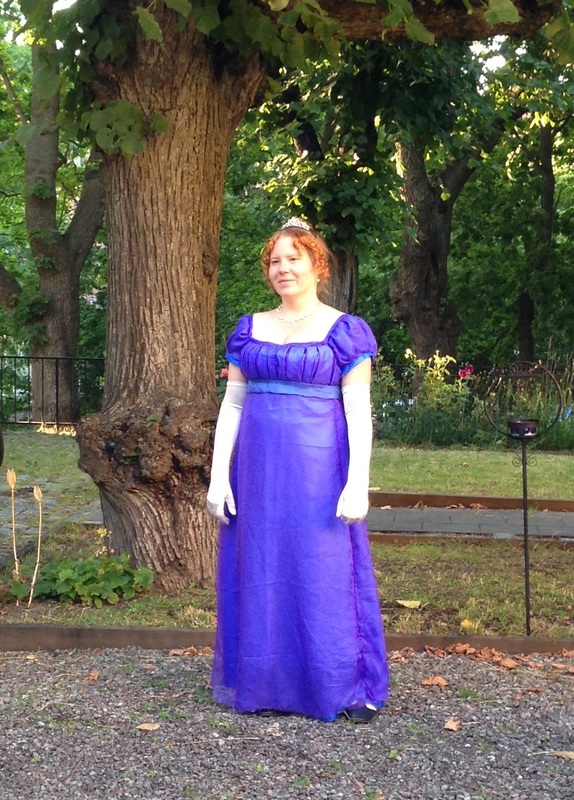 Full dress, something you´d wear for a dinner party or ball. 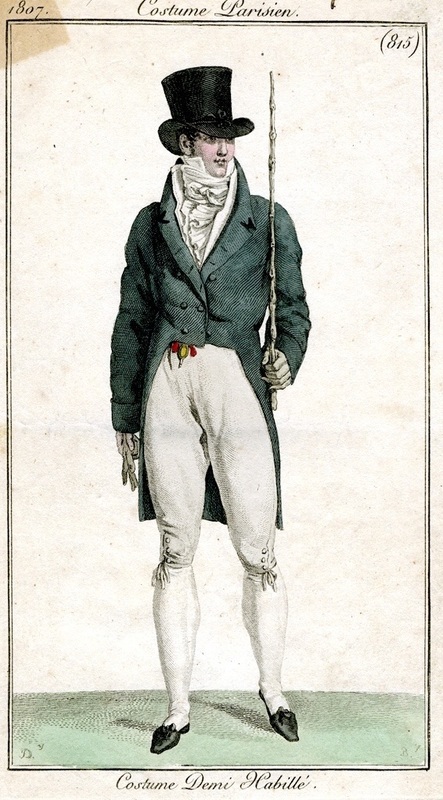 Bicorne instead of top hat. 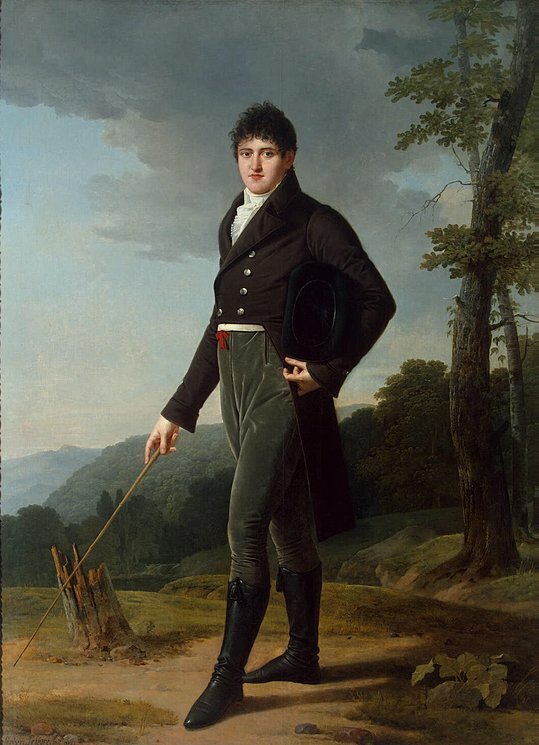 Country stroll 2: Portrait of Count Andrey Bezborodko, Robert Lefevre, 1804. 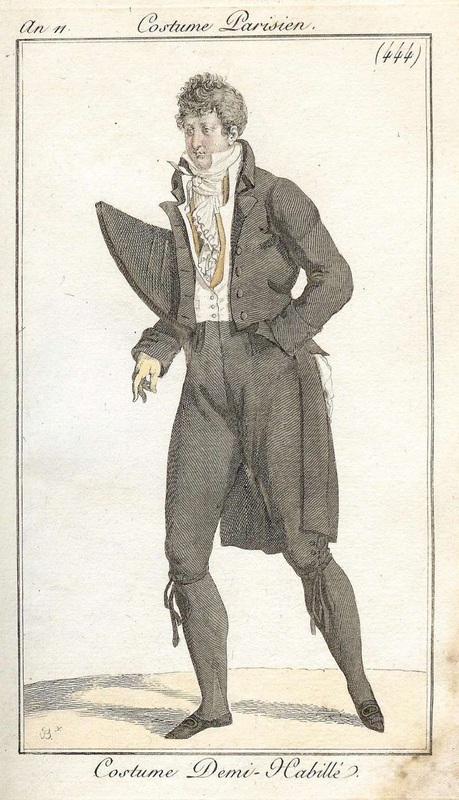 And the real thing: a rare, extant garment, ca 1815. Sold at Kerry Auctions. Material: This terrific moss-green wool is perfect. The day I found it I was a bit reluctant to spend any money, so I purchased only 2,5 metres (three yards). That means I will have to take great care when cutting the pieces. 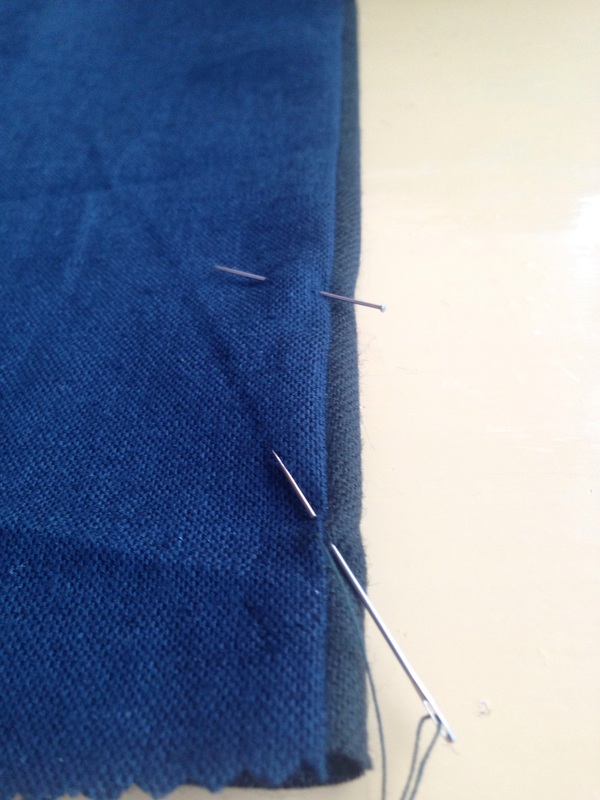 In our stash I found a bolt of dark linen that is perfect for lining, and odd pieces of heavier linen for interlining. 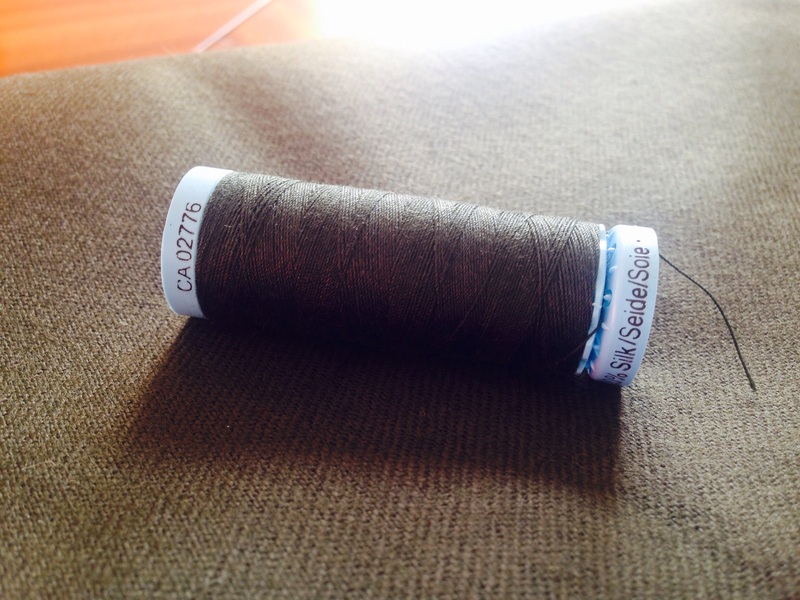 Guterman’s silk thread in colour 02776. 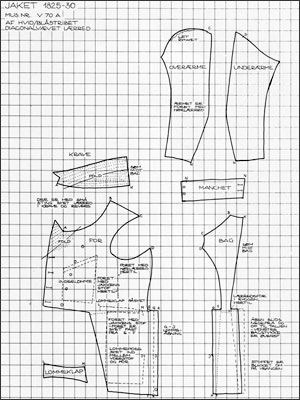 Pattern: I will use my toile from last year, with some additional drafting on the front and lapels. 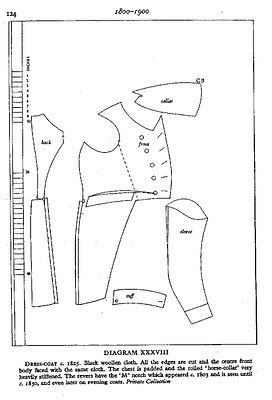 The two patterns below will be useful: Norah Waugh´s The Cut of Men’s Clothes and the one from the Danish Tidens Toj. They are found online.